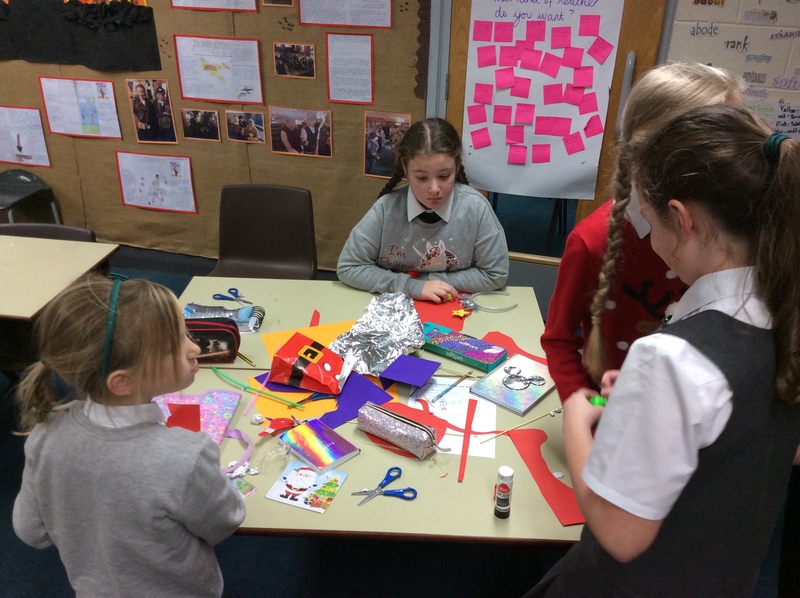 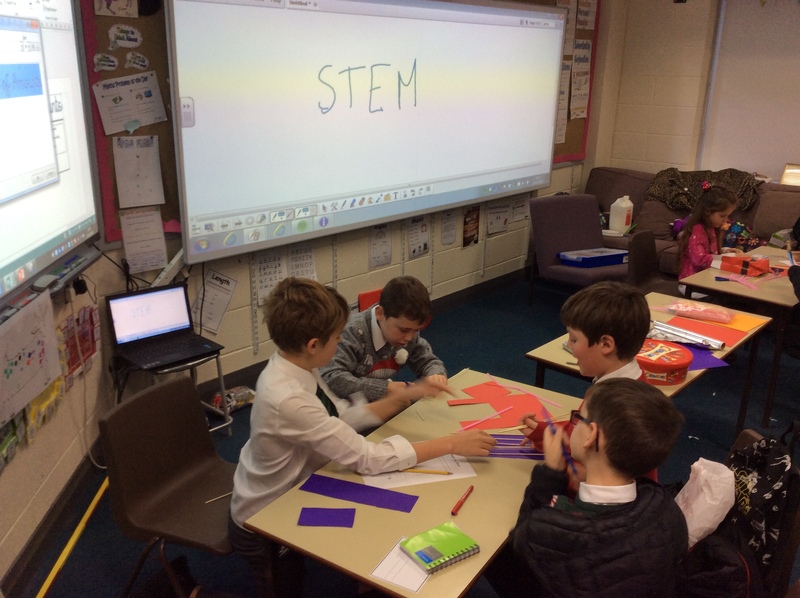 At English Martyrs Catholic Primary School, our vision is to deliver a science curriculum to our children which enables them to explore and discover the increasingly technological world around them. 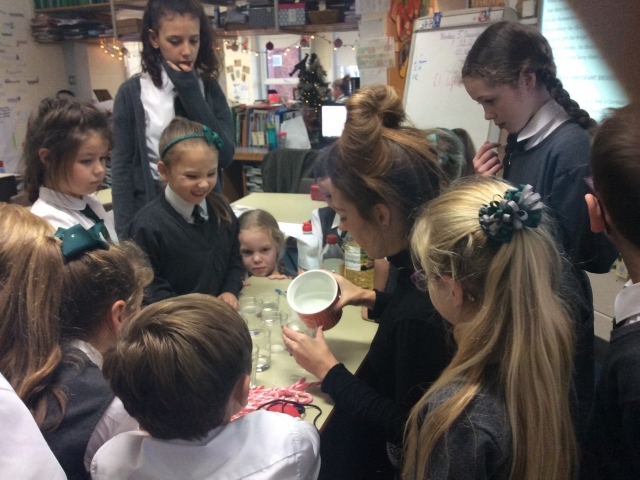 We provide practical experiences that encourage curiosity and welcome questioning. 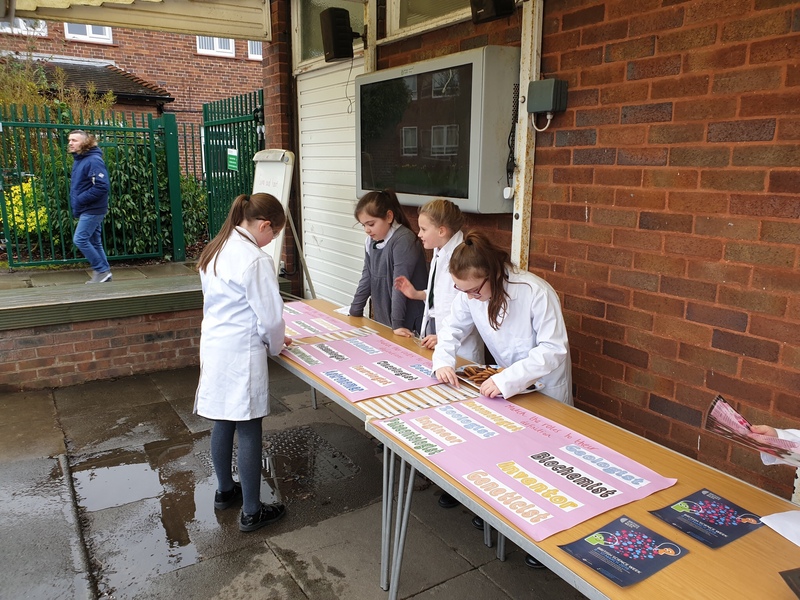 Through our carefully chosen Learning Connectors, science is interwoven through the curriculum on a day-to-day basis; opportunities are provided so that children can acquire knowledge, skills and attitudes to better prepare them for modern life. 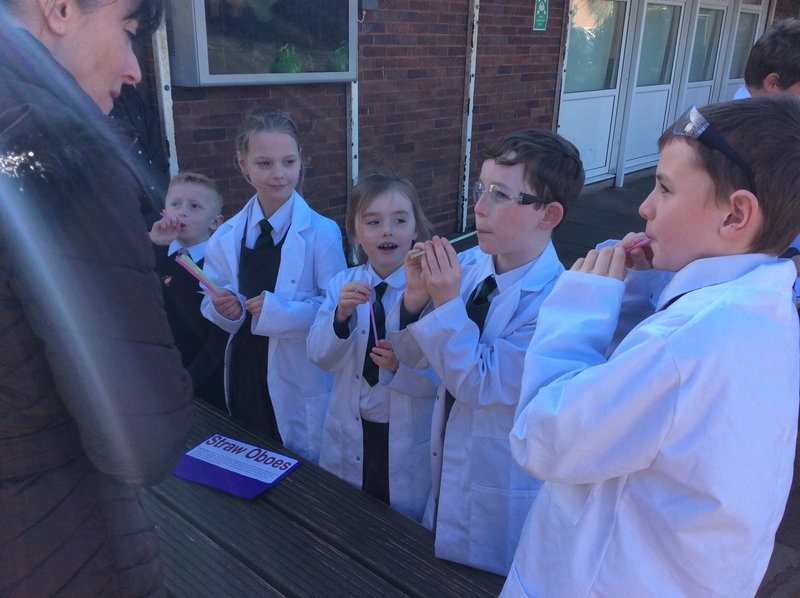 Our aim is that these stimulating, challenging and inquiry-based experiences help children secure and extend their scientific knowledge and vocabulary whilst fostering a risk-taking, collaborative approach towards all aspects of science. 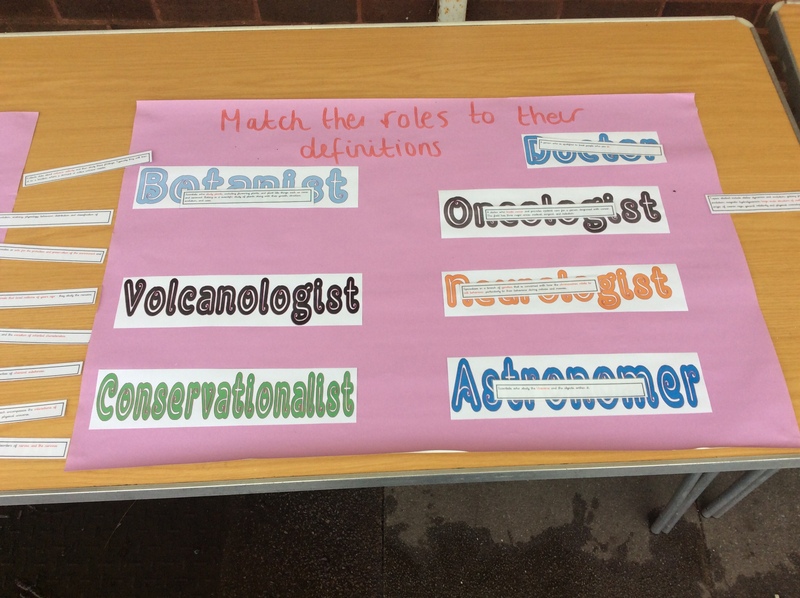 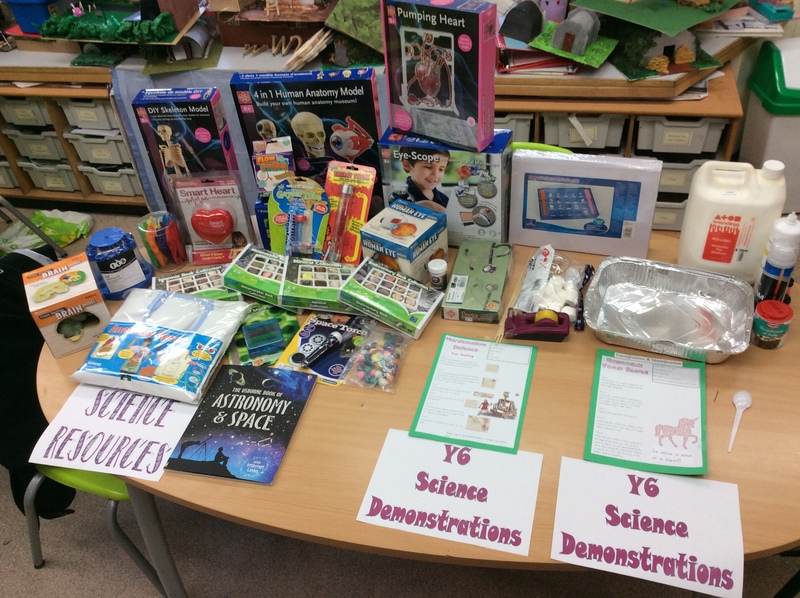 Eliciting what the children already know and care about, valuing it and then linking it to different areas of science ensures that the learning is relatable, engaging and pupils understand the value of each topic. 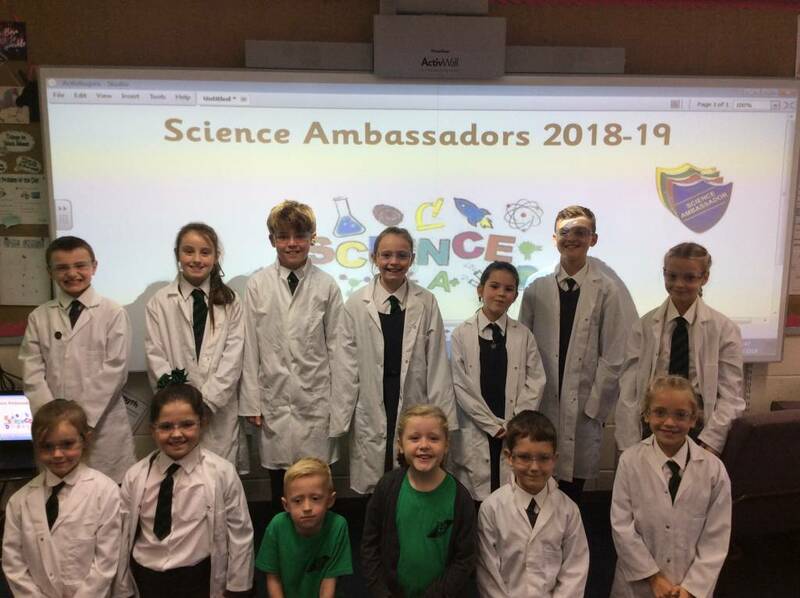 Throughout the year, Miss Boardman will hold meetings with Ambassadors to discuss all things scientific. 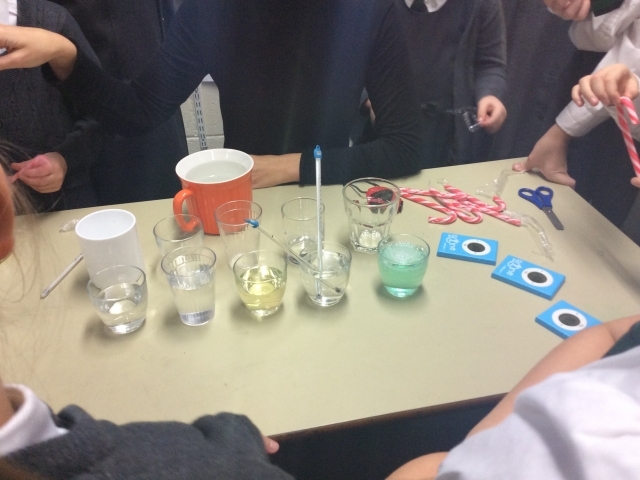 We have discussions about the science that is going on in each classroom and reflect on our learning. 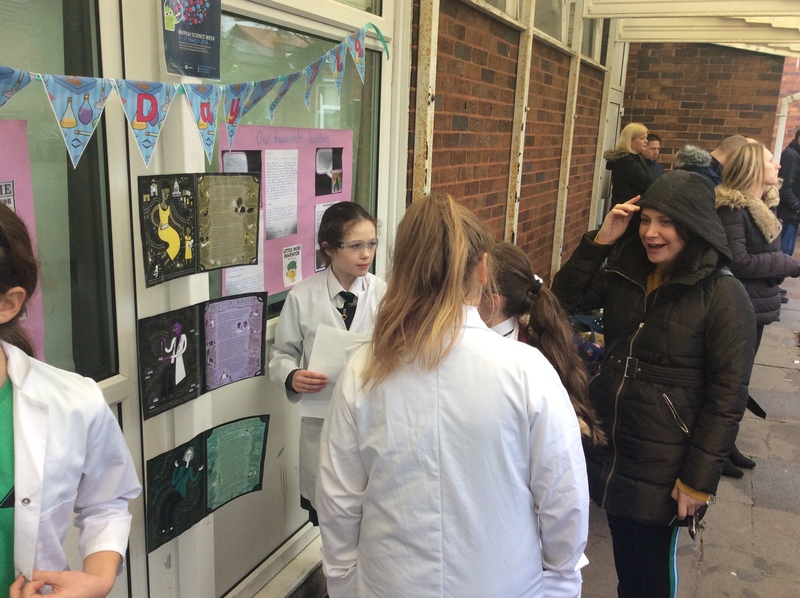 Anything that we feel is of interest in the news regarding science, we will converse about and think of ways to spread the message, if needed, with our peers. 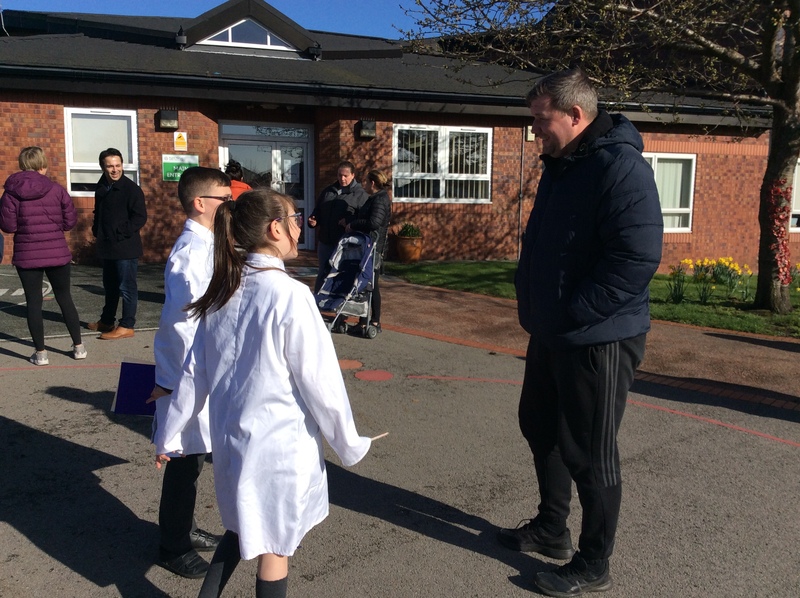 We also take part in a mini experiment each time we meet: this ensures we have practical, hands-on experiences which we get to share with children of different ages right across the school. 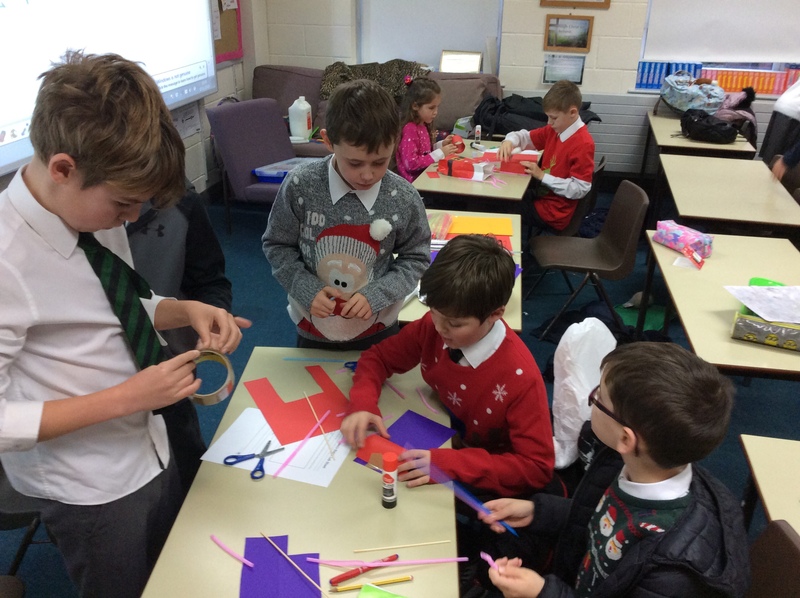 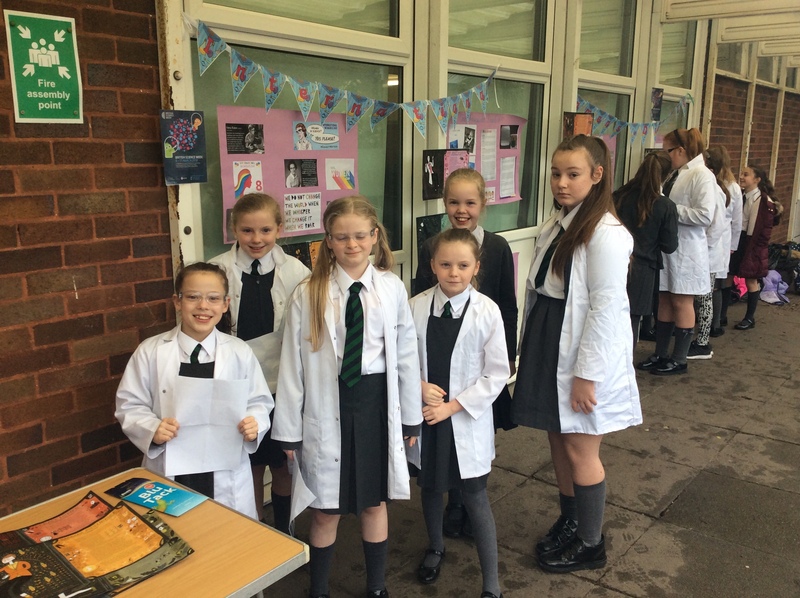 The pupils in Year 6 have joined with their younger counterparts in Year 2 after school on a Monday for Science Club. 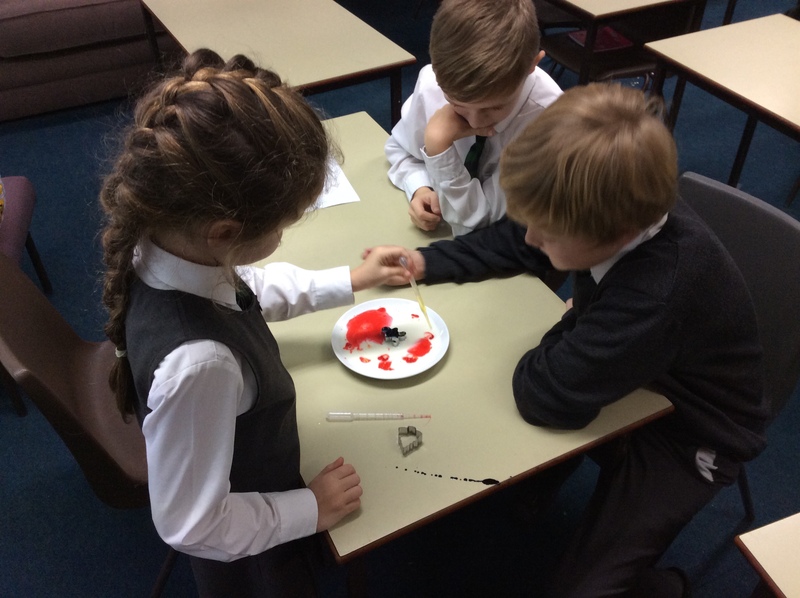 Collaboratively, the pupils discuss, plan and carry out investigations. 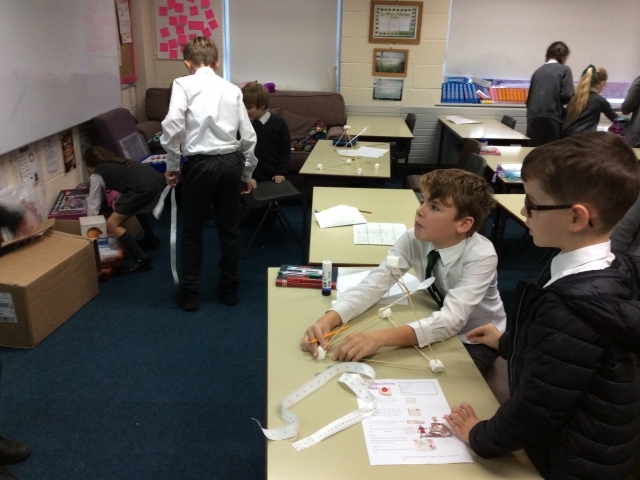 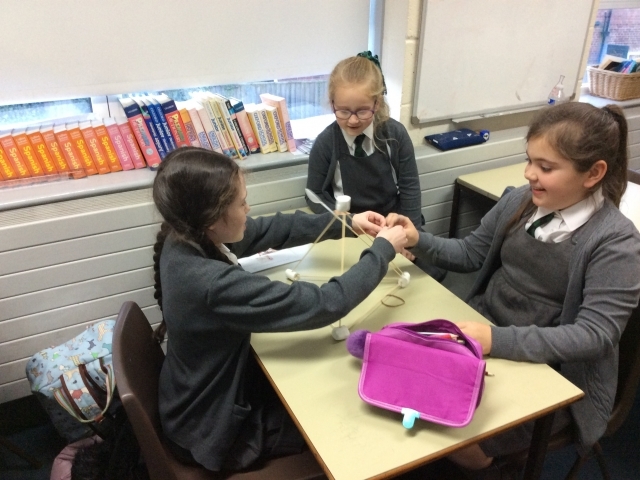 This week we created catapults; the pupils thought about the variables they could change in order for their contraption to have greater impact. 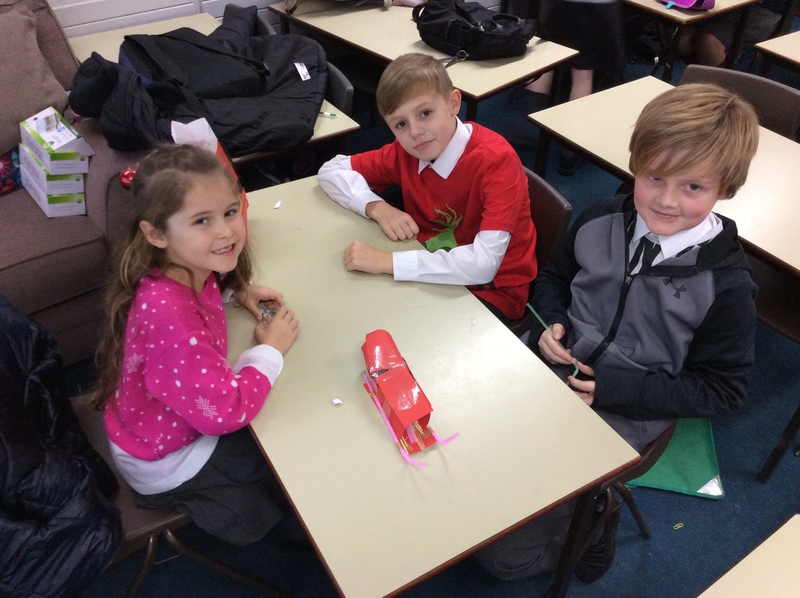 Using gummy bears, paper and coins as ammunition proved to be such fun! 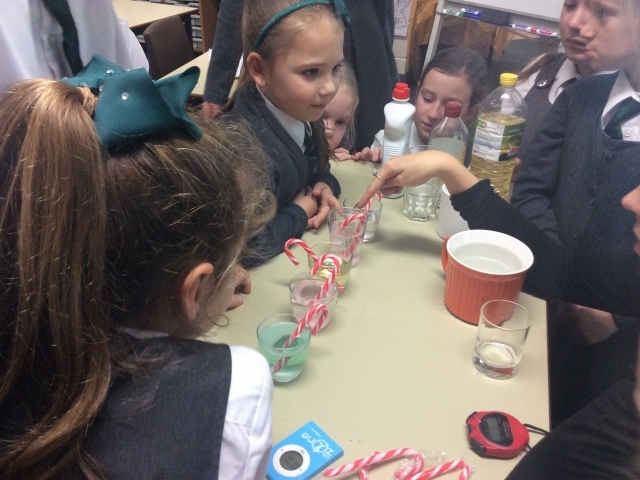 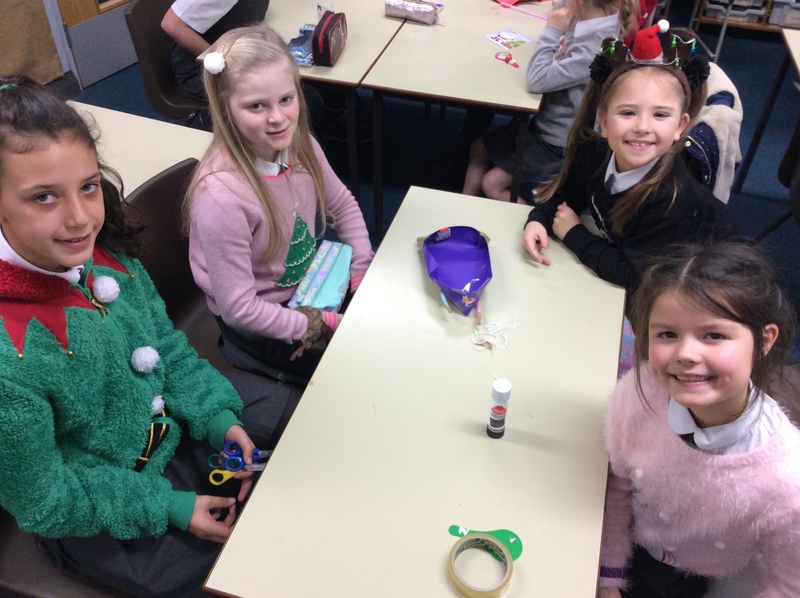 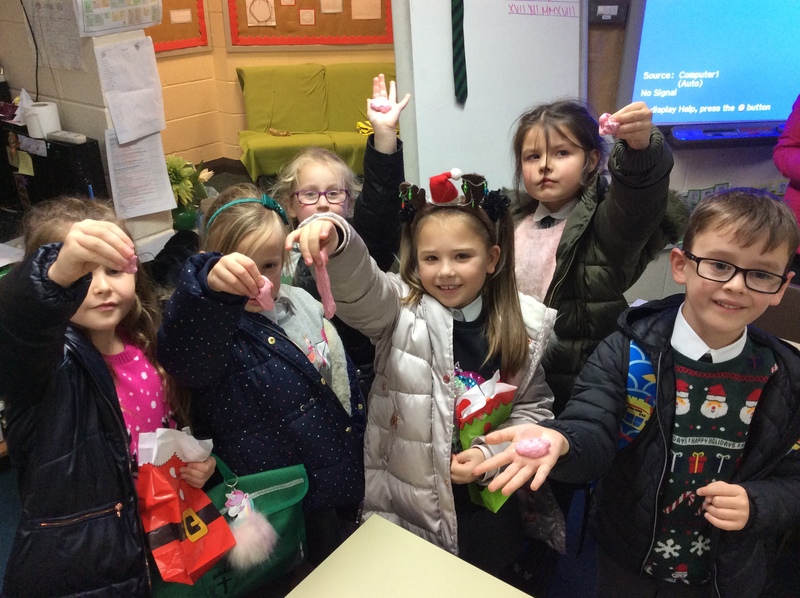 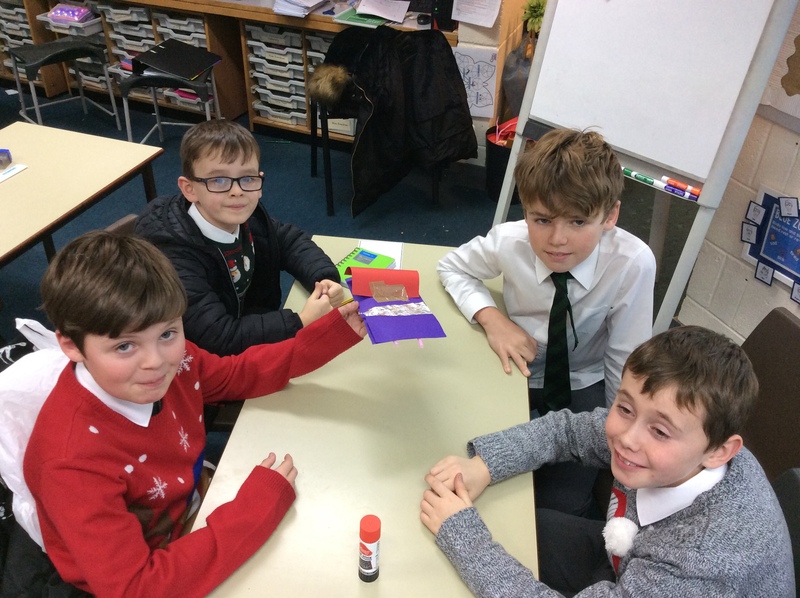 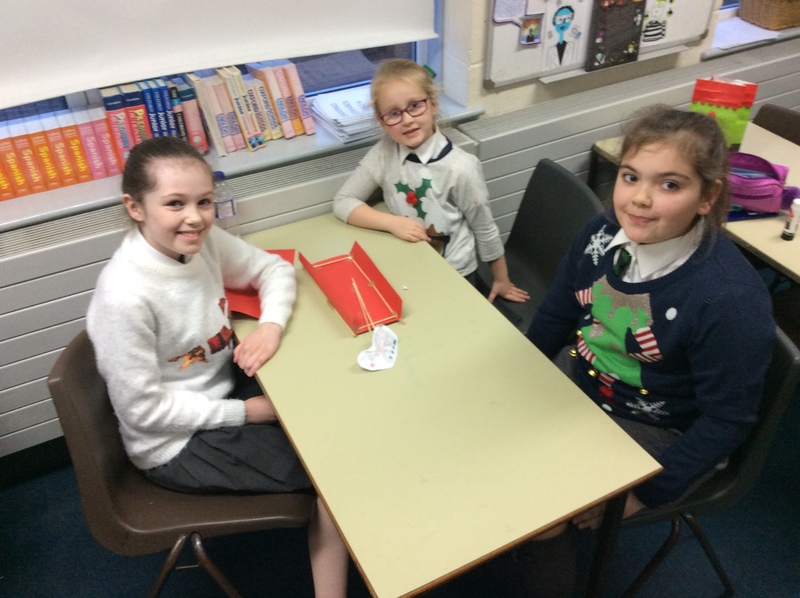 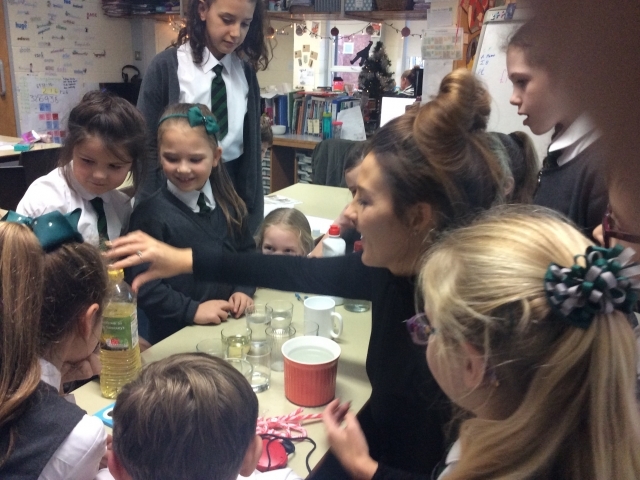 With it now being December, we were feeling rather festive during our Science Club this afternoon ⛄️Using our understanding of the composition of a candy cane, the pupils predicted what they thought would happen when they were placed in five different liquids: cold water, hot water, soapy water, oil and vinegar. 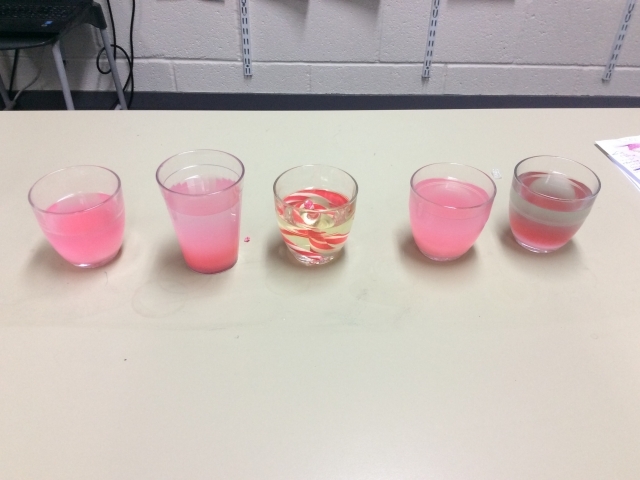 We made the test fair by keeping the amount of liquid the same; we measured and weighed the candy cane to ensure they were equal in size. 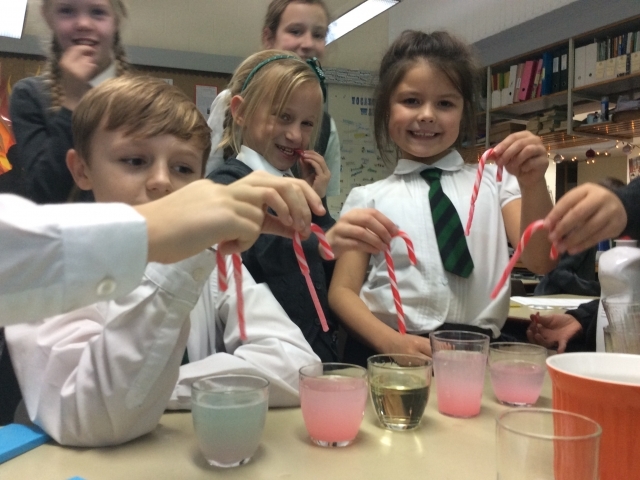 After just eight minutes, the candy cane in the vinegar, cold water and soapy water had begun to dissolve, however the one in the hot water had significantly dissolved and was removed of its stripes. 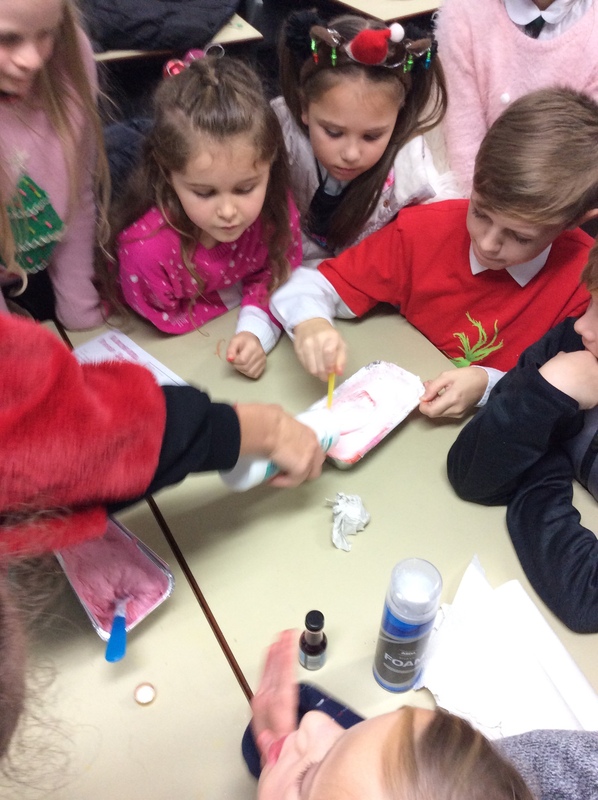 The oil seemed to have very little effect, but we are going to leave them over night and observe what happens tomorrow! 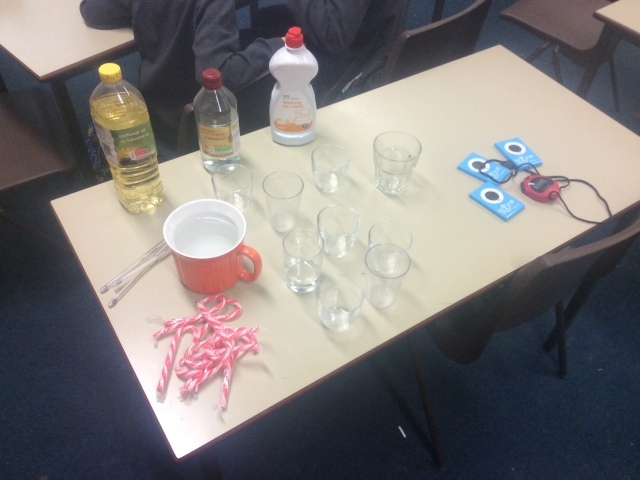 The oil (in the middle) had preserved the candy cane and acted as a barrier. 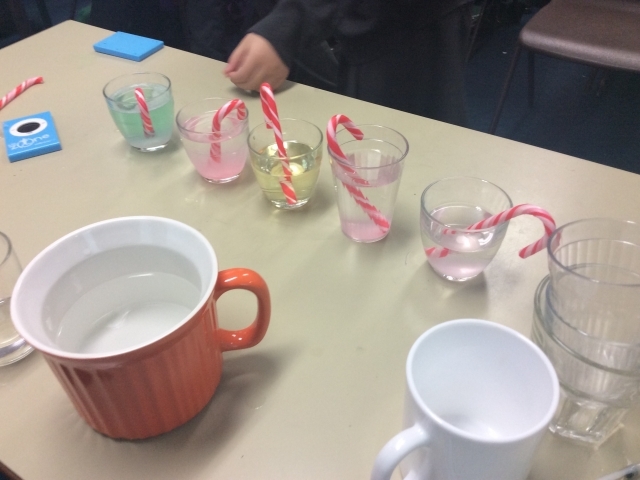 The water and vinegar had completely dissolved the candy cane (whilst the detergent had kept the water clearer on the far right, with the sediment lying on the bottom). 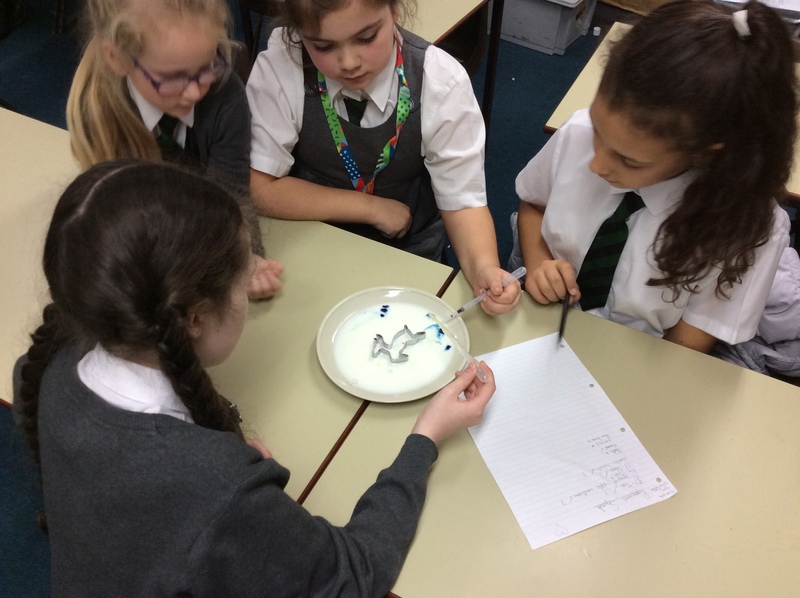 We poured a thin layer of milk into a shallow plate and then arranged the cookie cutters in their dish of milk. 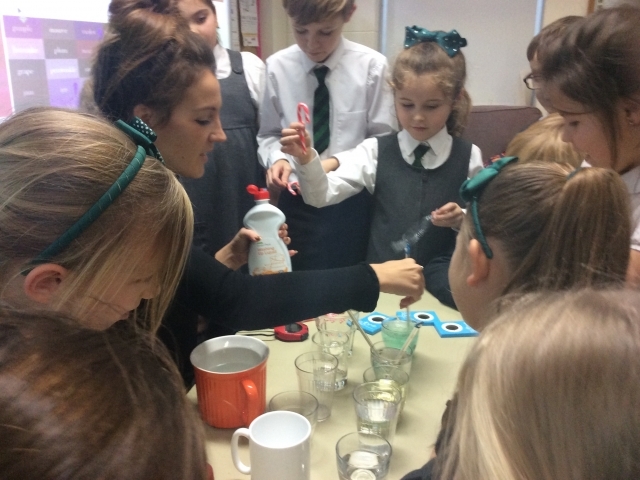 The children squeezed a few drops of food colouring onto the milk within the cookie cutters and then put a drop of liquid dish soap into each cookie cutter. 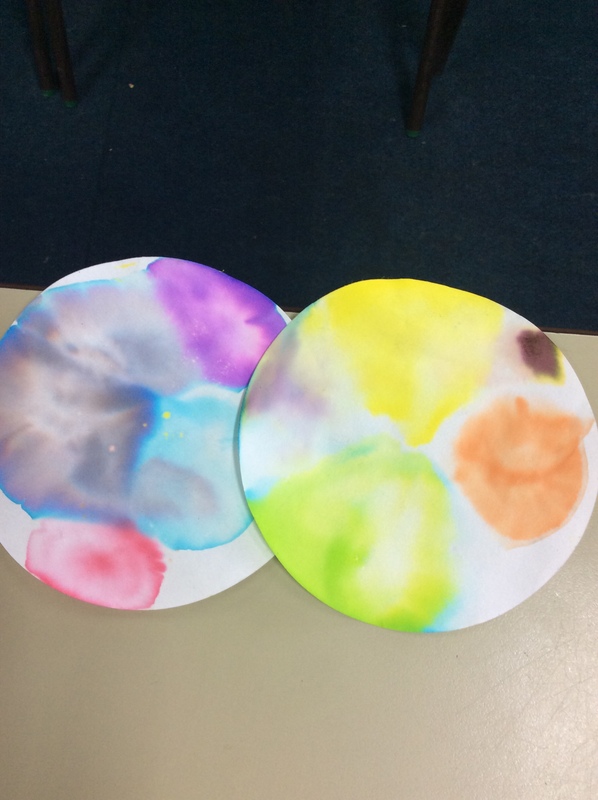 The colours spread out like little fireworks, but stayed within the cookie cutters. 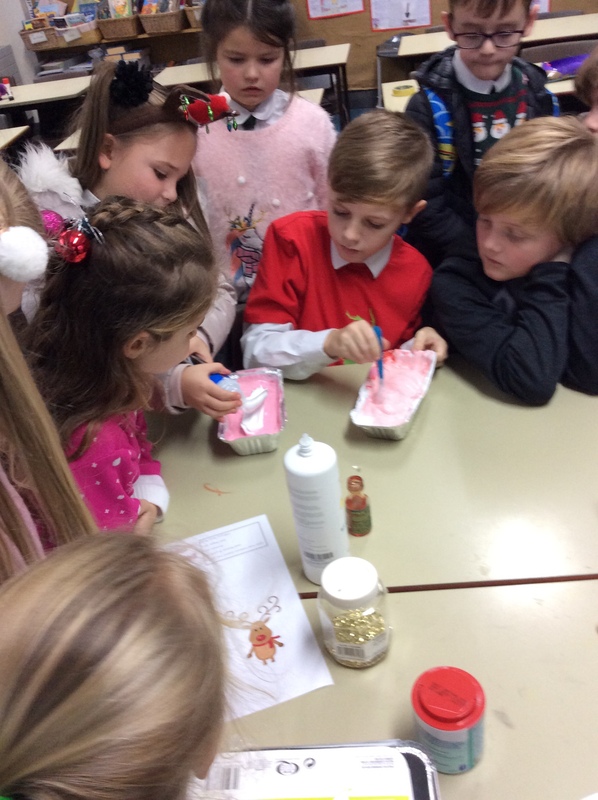 We watched the colours mix and churn. 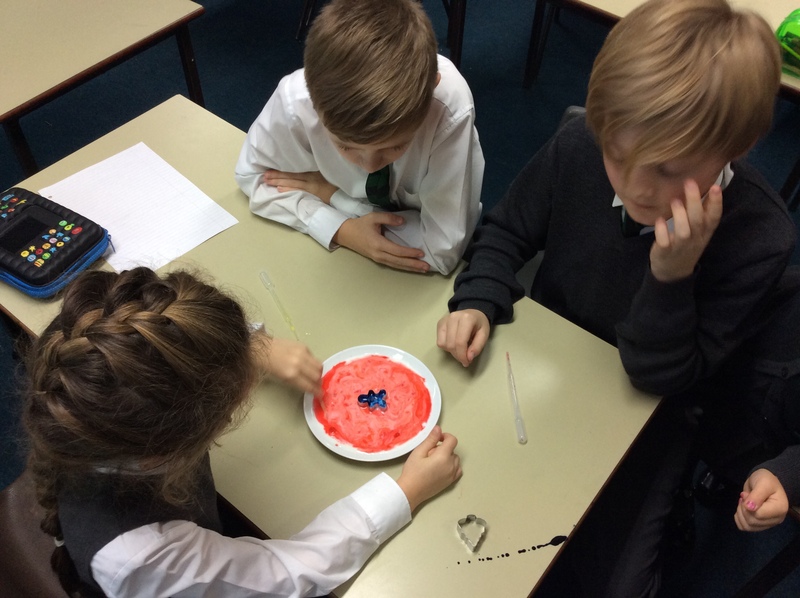 When we were ready, we lifted the cutters and watched the coloured milk burst through its old boundaries and then they began to mix together. 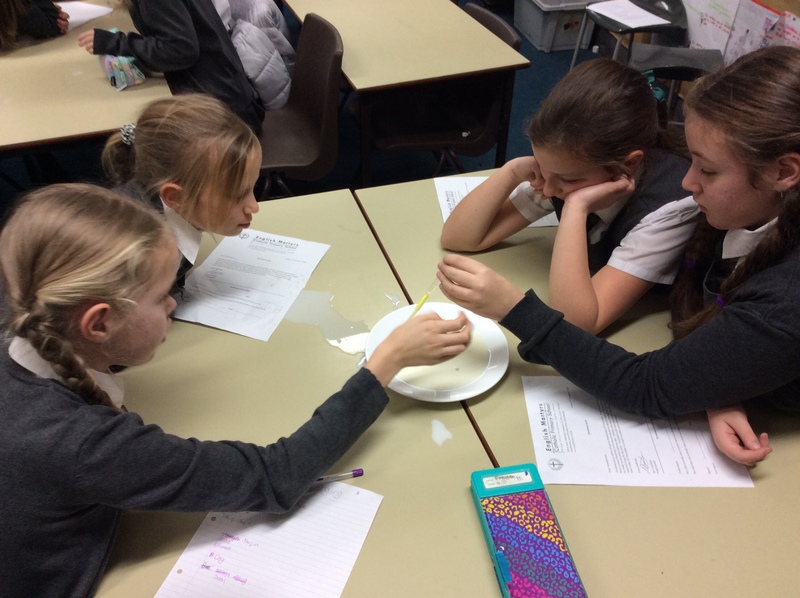 First, all liquids have a property called surface tension, which refers to the way the molecules on the surface of the liquid bind together tightly. 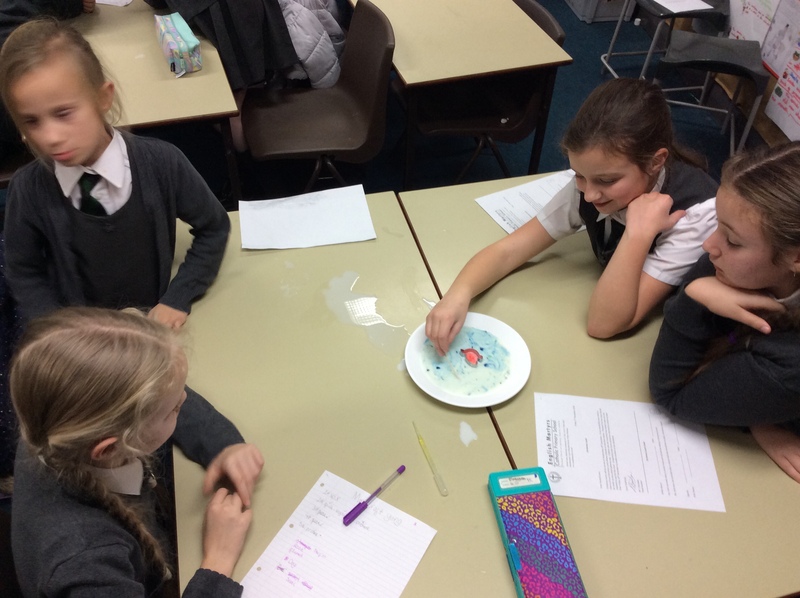 Surface tension is what makes liquids form a dome on the top and what makes liquids form into little individual droplets. 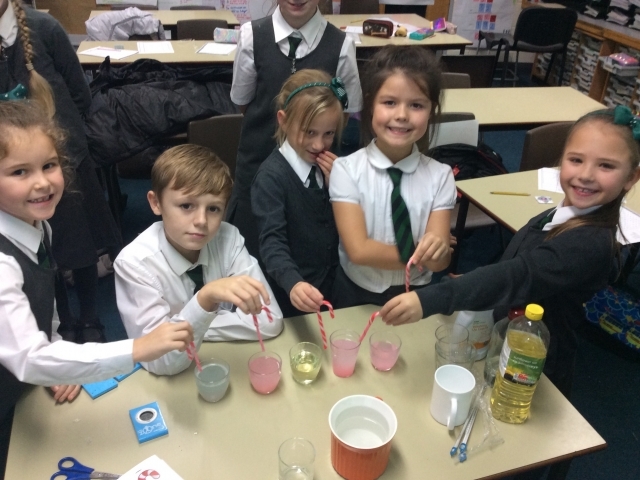 Food colouring floats on top when it is added to milk. 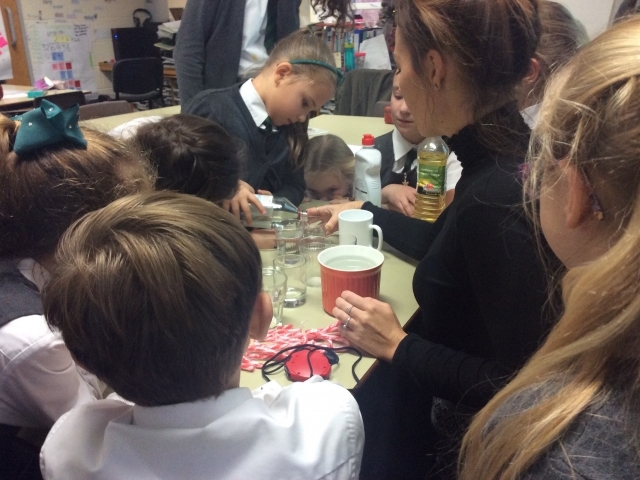 Once dish soap is added, the dish soap molecules bond with the milk molecules, breaking the surface tension. 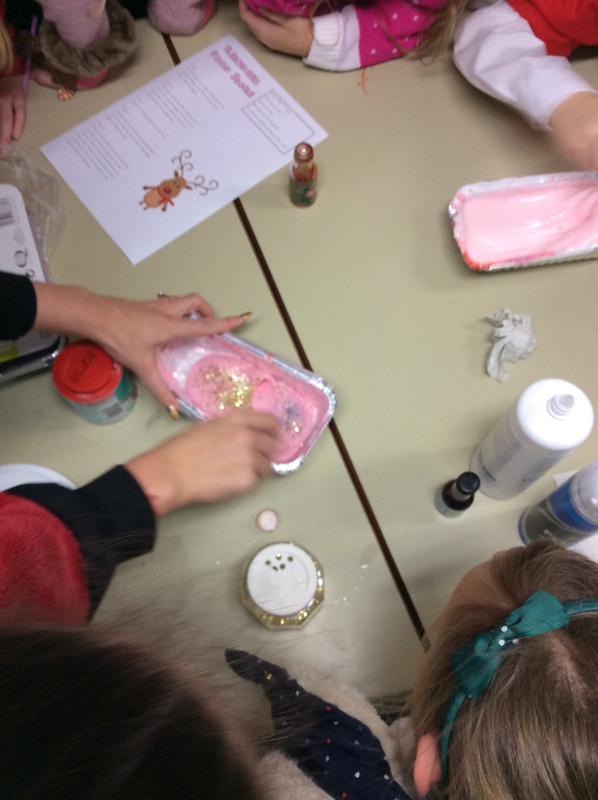 The molecules on the surface spread out, creating the firework or marbled effect. 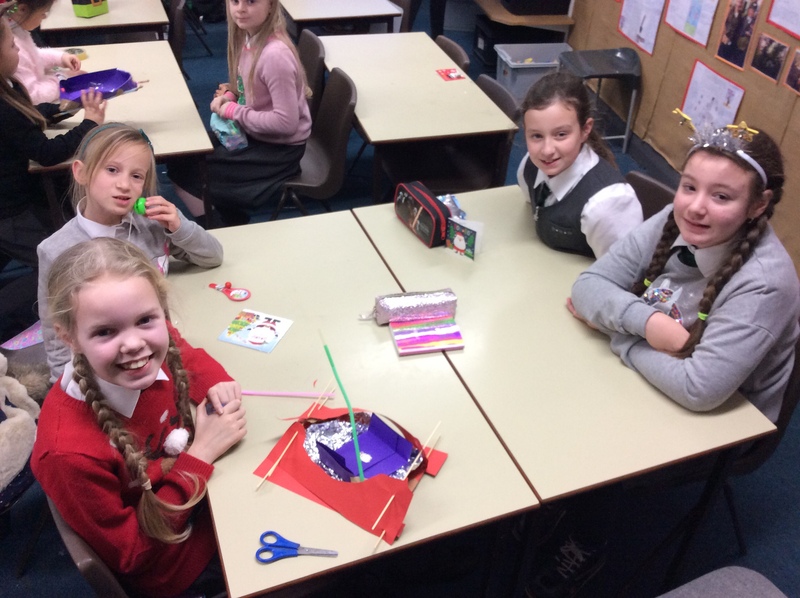 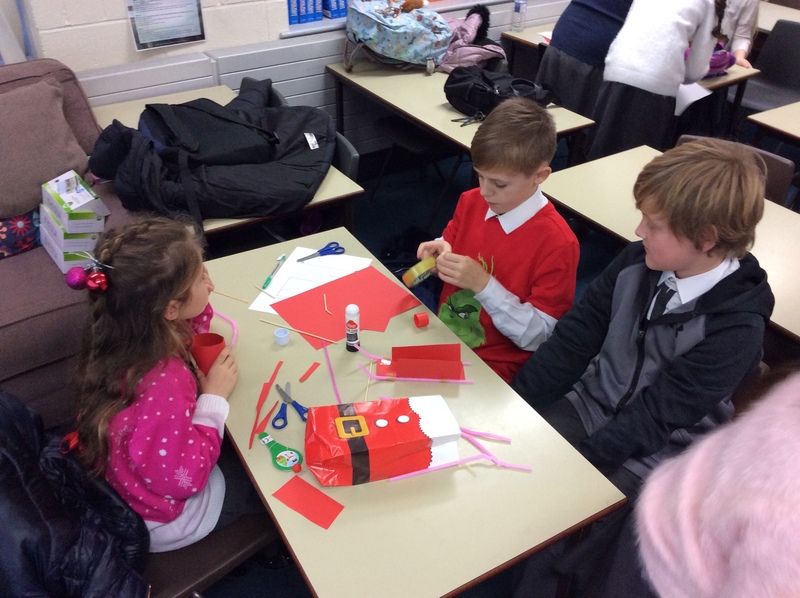 The children were given a brief and some materials and had to design and then construct a sleigh for Santa. 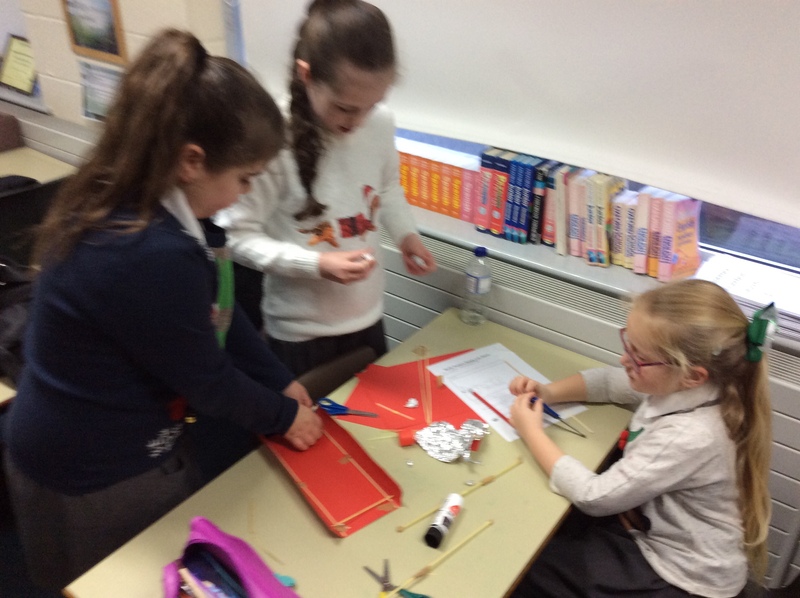 It had to be sturdy enough to carry a small bag of presents. 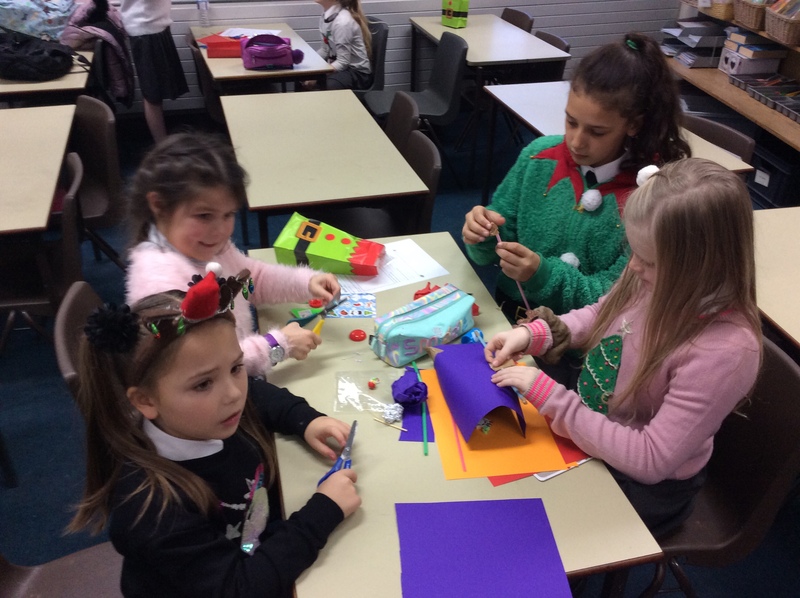 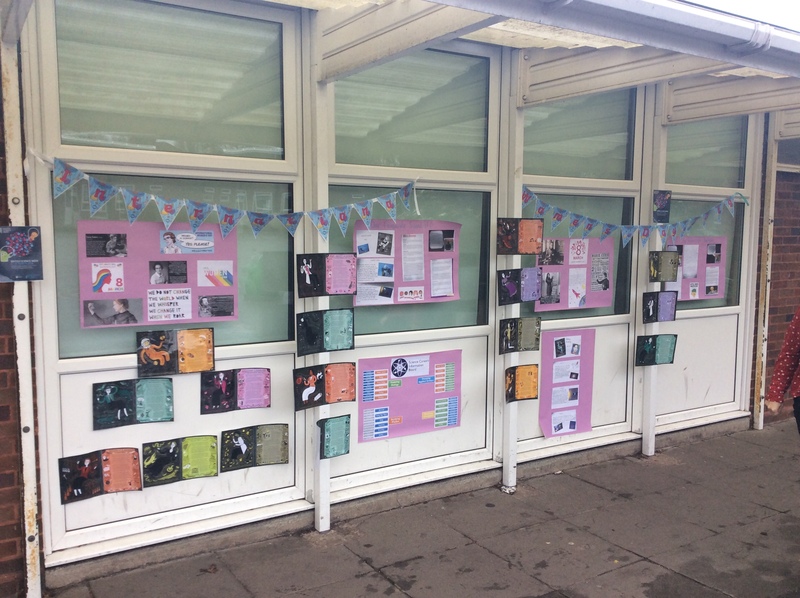 The pupils worked together beautifully and Miss Boardman couldn’t choose a winning design as they were all so good and fitted the brief excellently! 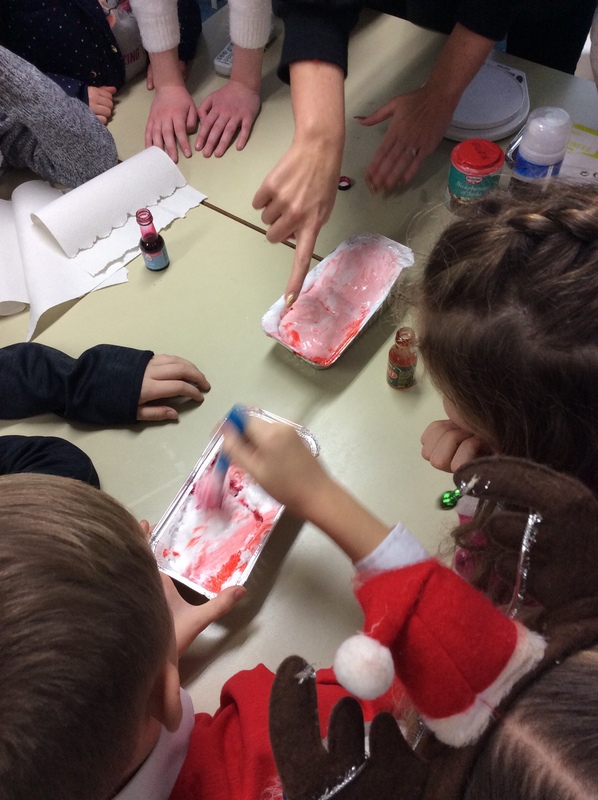 We then finished the sessions with a grand finale: we made reindeer poop slime. 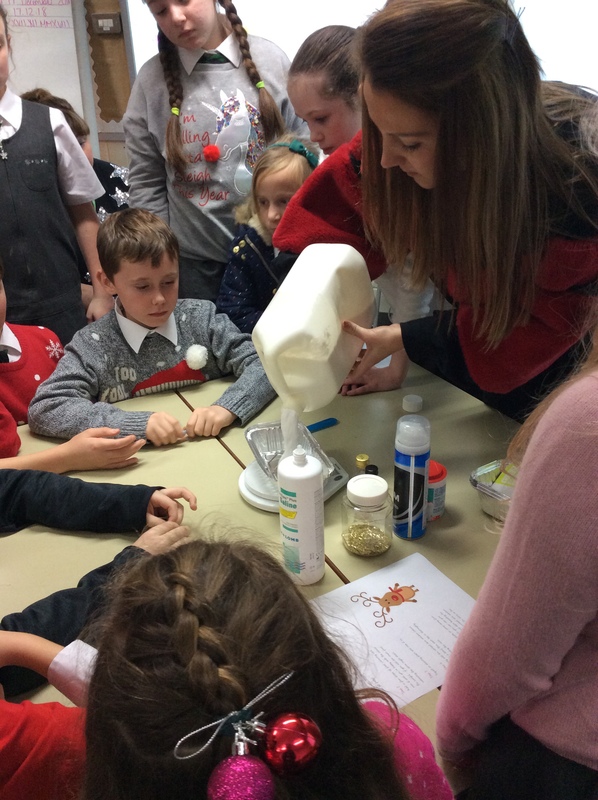 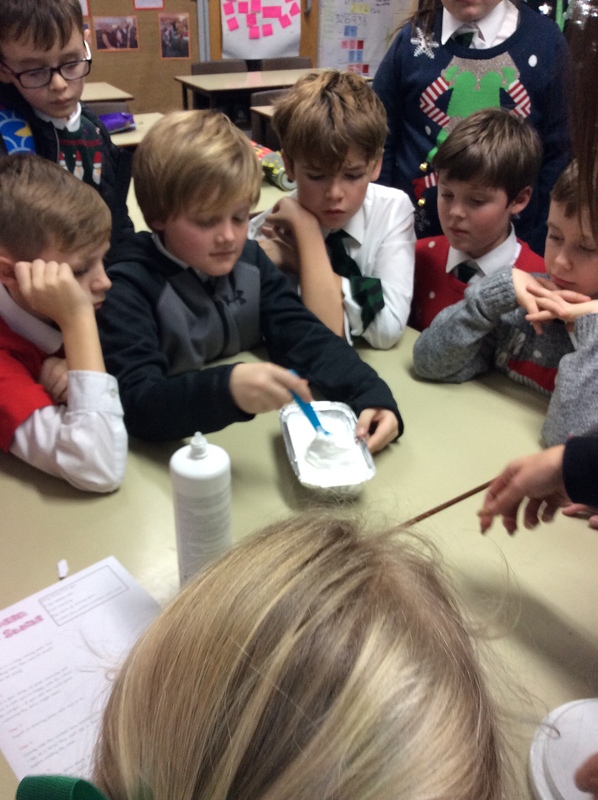 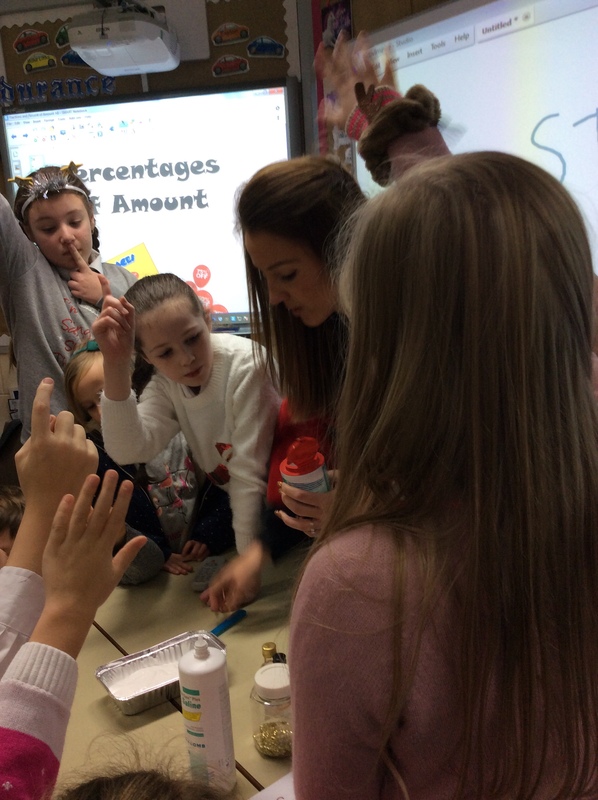 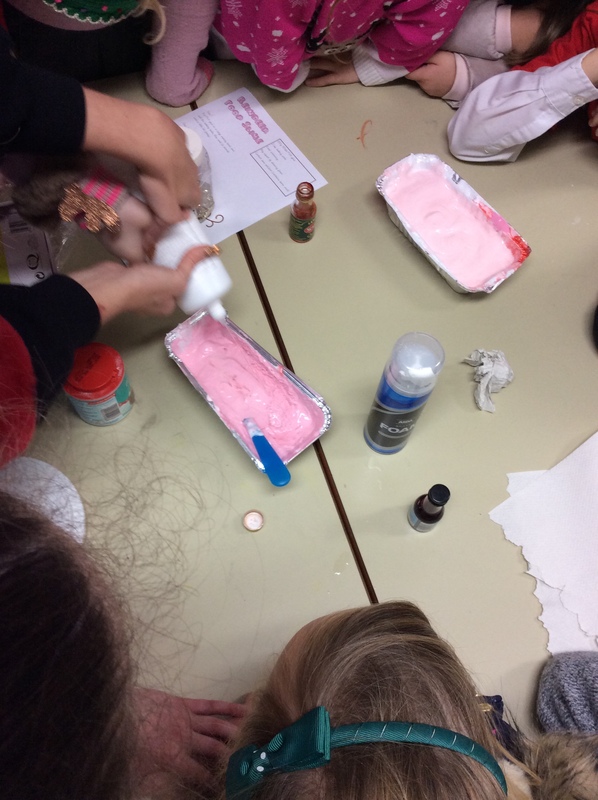 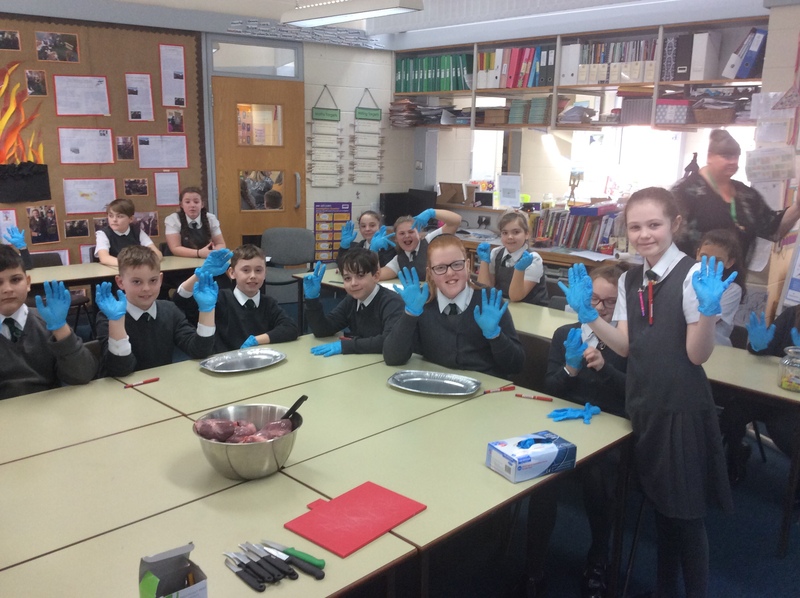 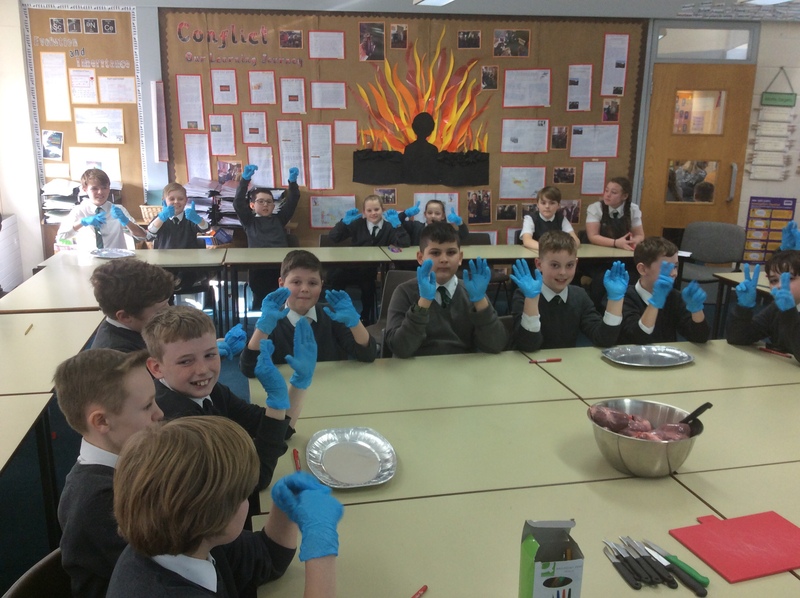 Using ingredients such as PVA glue, contact lens solution (containing boric acid), food colouring, bicarbonate of soda and shaving foam, we mastered the art of the perfect slime due to accurate measurements. 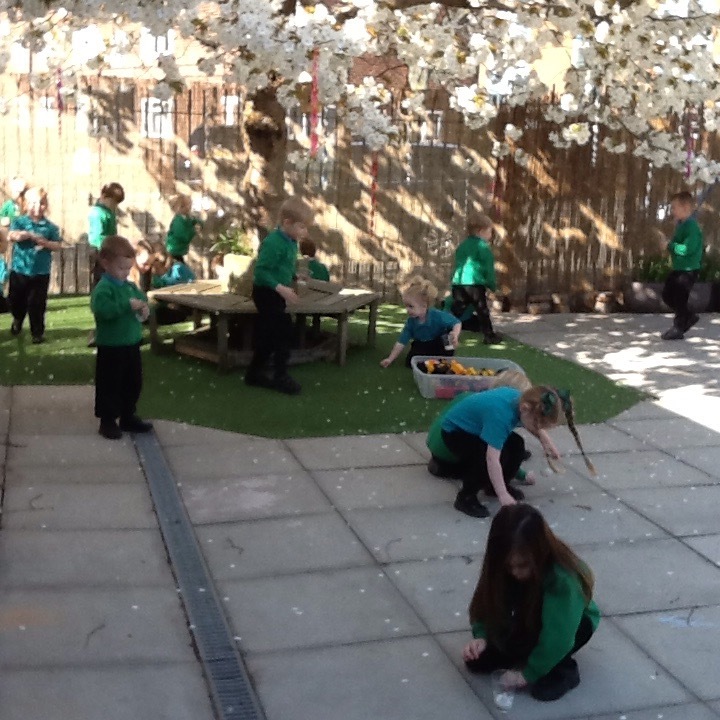 We had great fun playing with the sparkly ‘poop’. 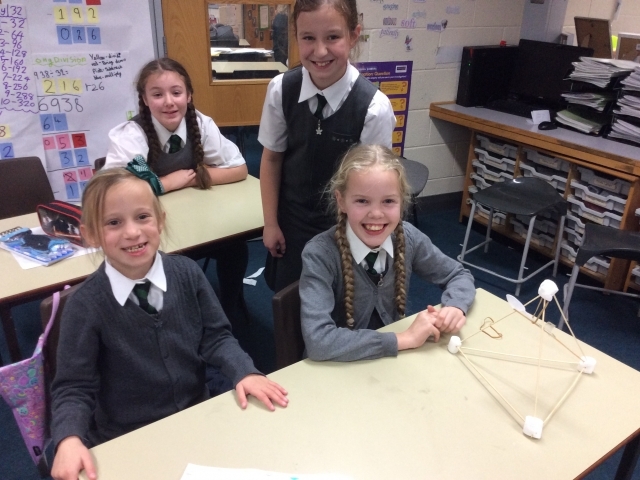 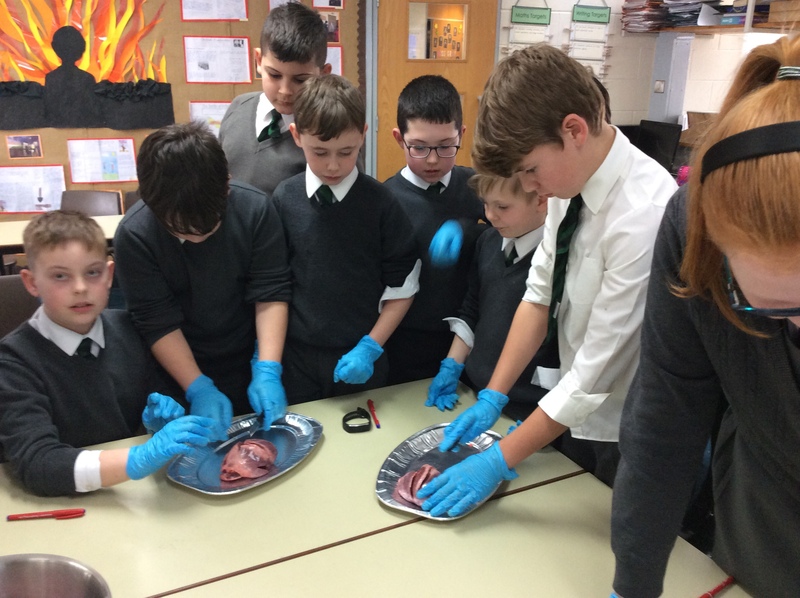 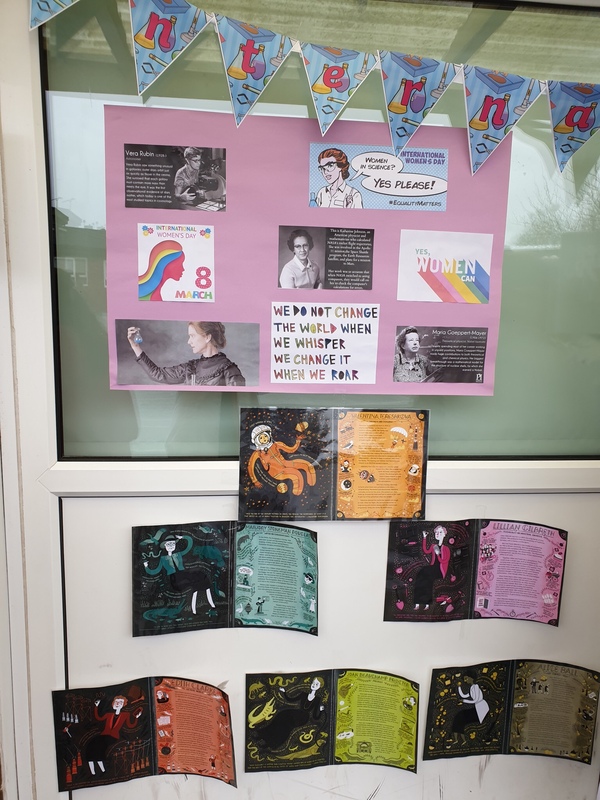 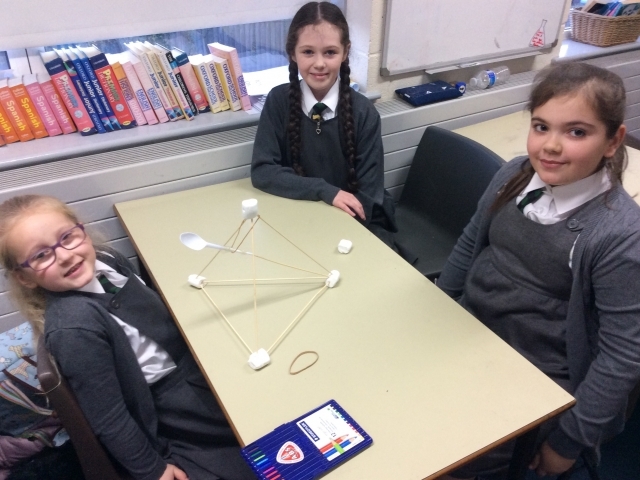 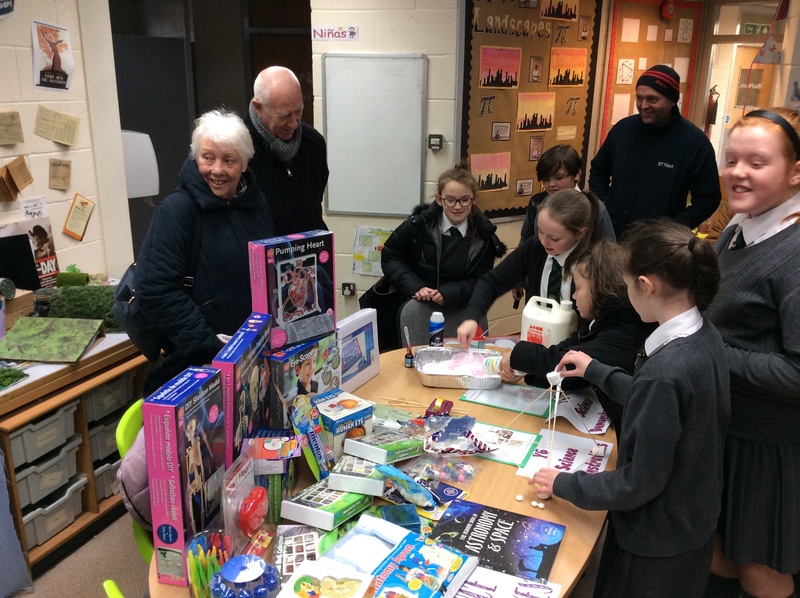 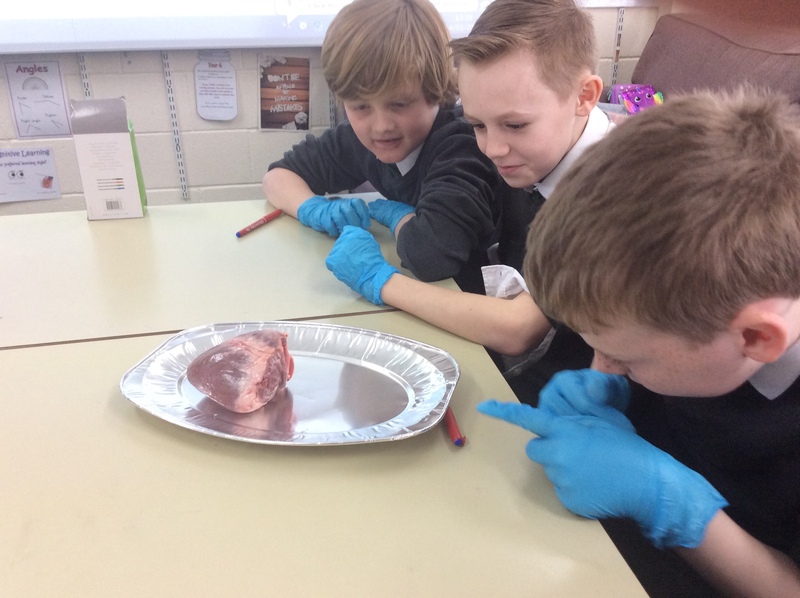 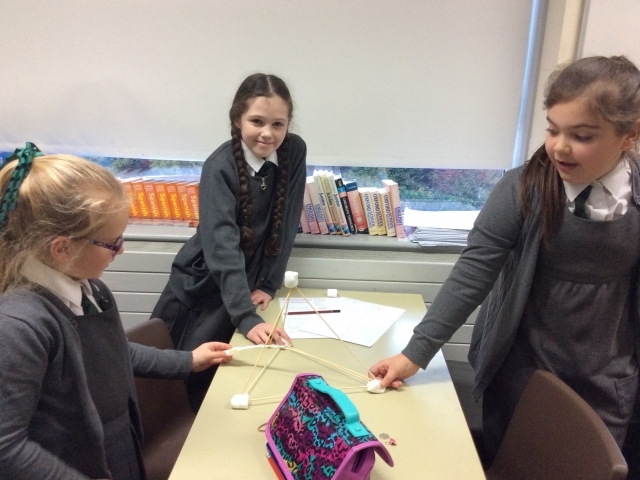 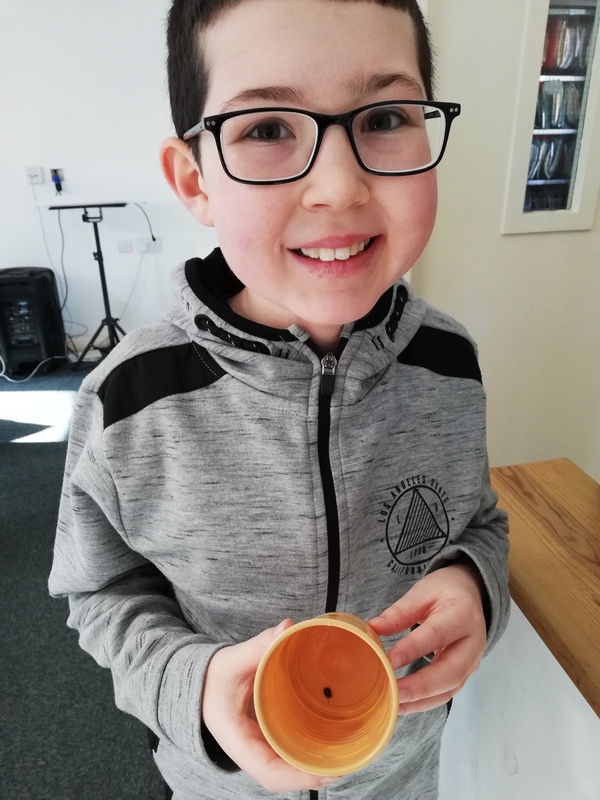 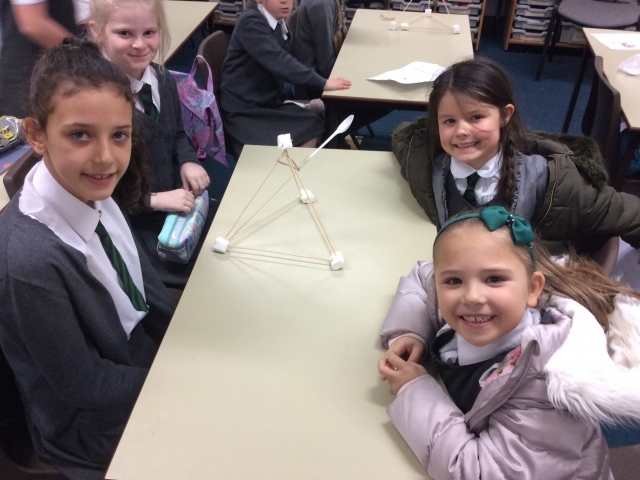 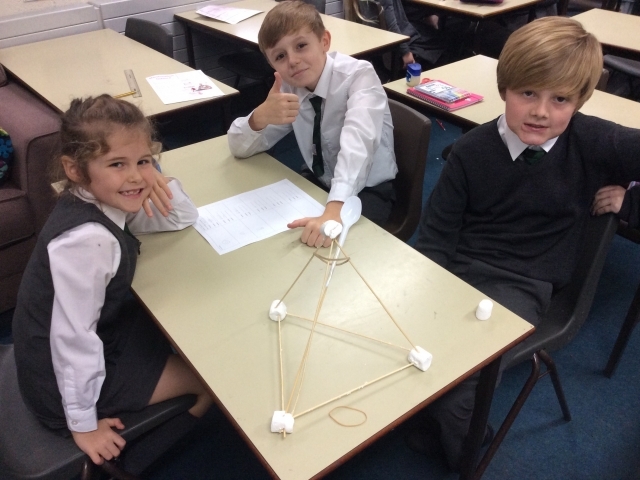 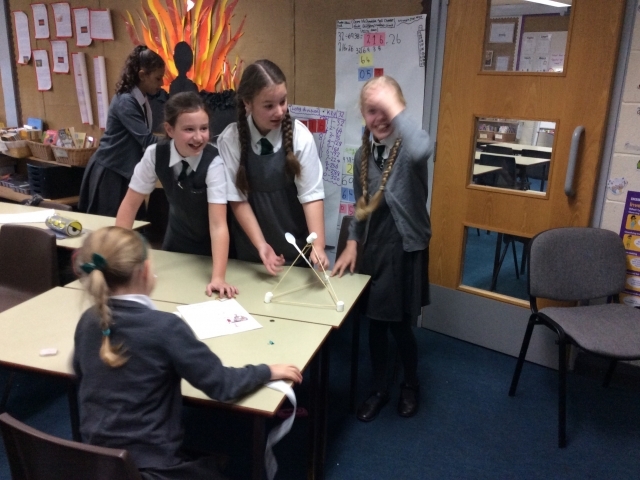 Pupils in Year 6 demonstrated their scientific skills after school when parents were invited in to take a look at our new resources and find out about what we’ve been doing lately in science. 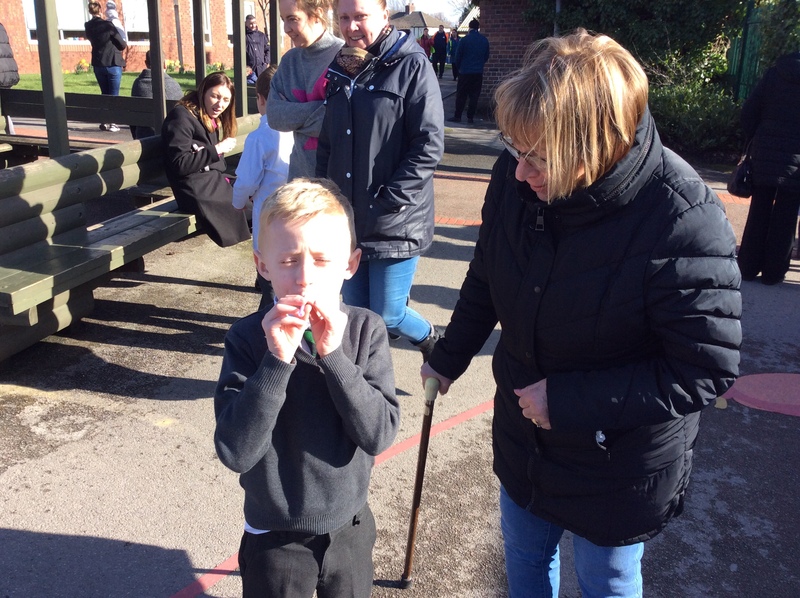 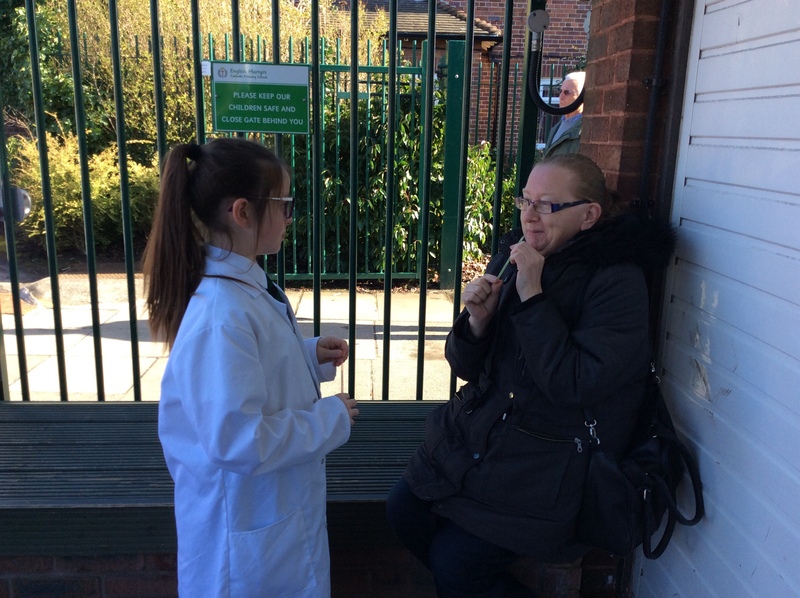 Parents and carers were asking many questions as the children confidently demonstrated two experiments. 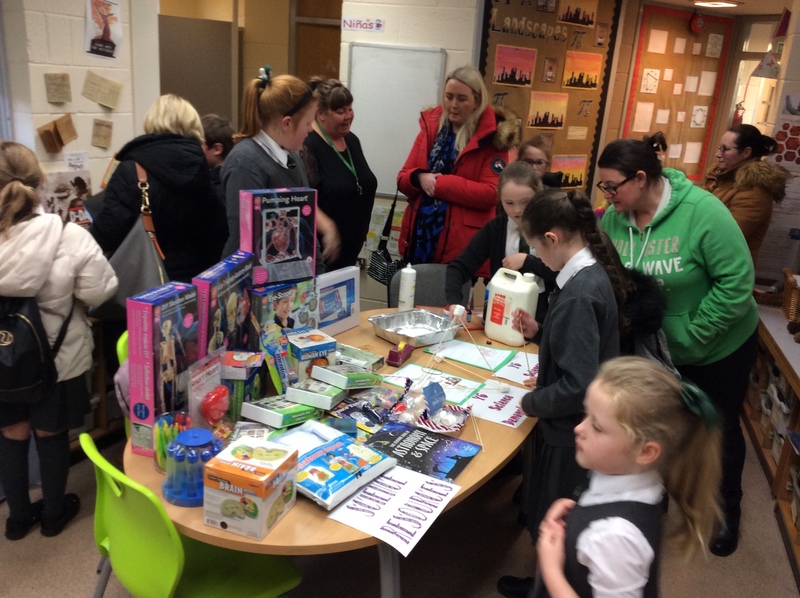 Miss Boardman spoke about how some of the new resources work and invited parents to get hands-on with them. 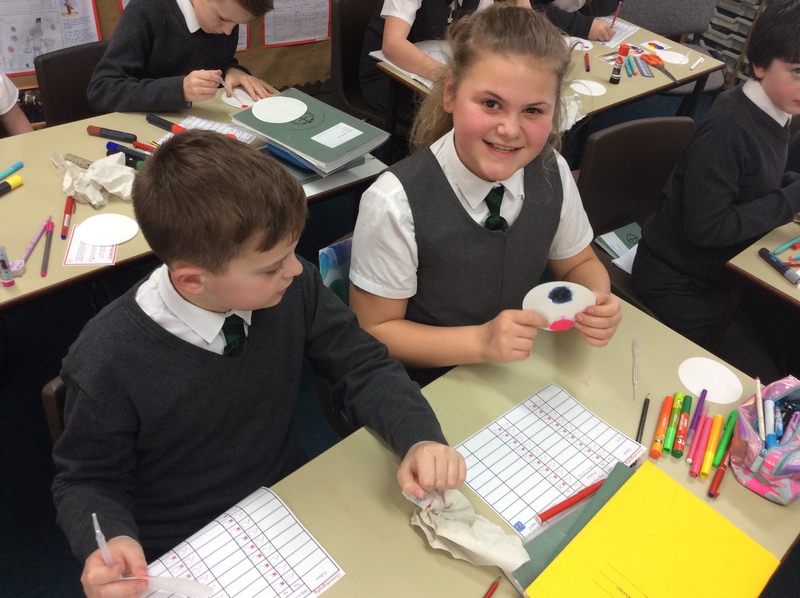 Year 6 are studying arthropods currently as part of their science topic, Living Things and their Habitats. 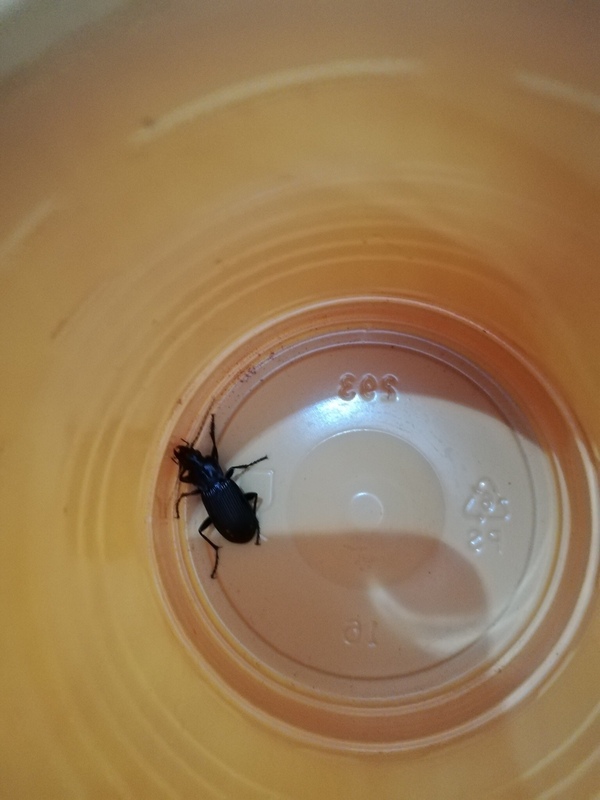 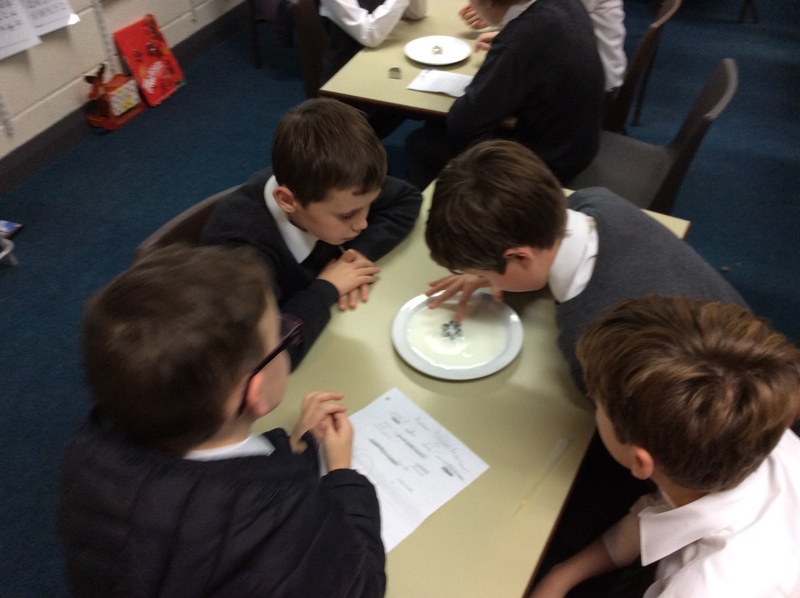 Miss Boardman asked for the children to find two micro-habitats around their home and using a dichotomous key, they had to identify any invertebrates they found. 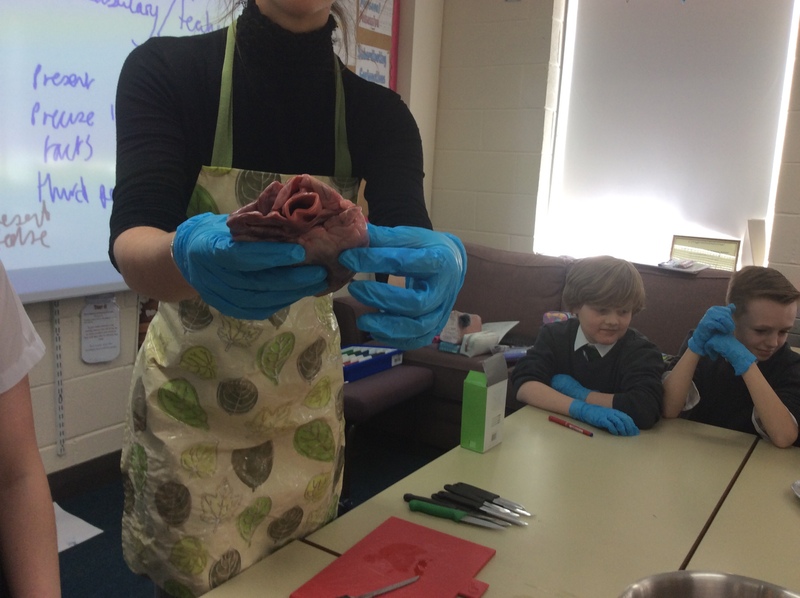 Did you know that invertebrates make up no less than 97% of all animal species on earth!? 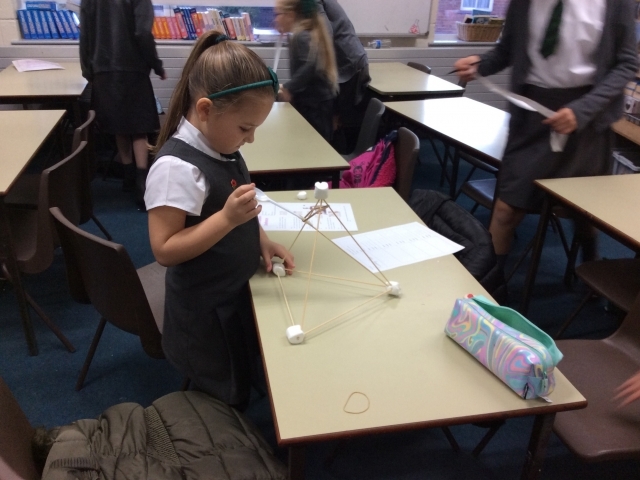 We love it when children take their learning outside the classroom in Year 6! 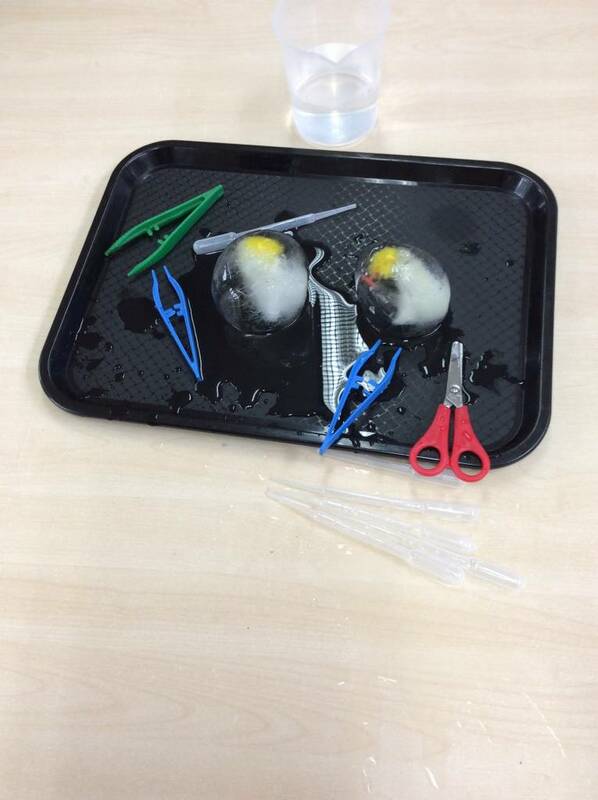 On Friday 8th on Google, we noticed there was an eye-catching Google Doodle. 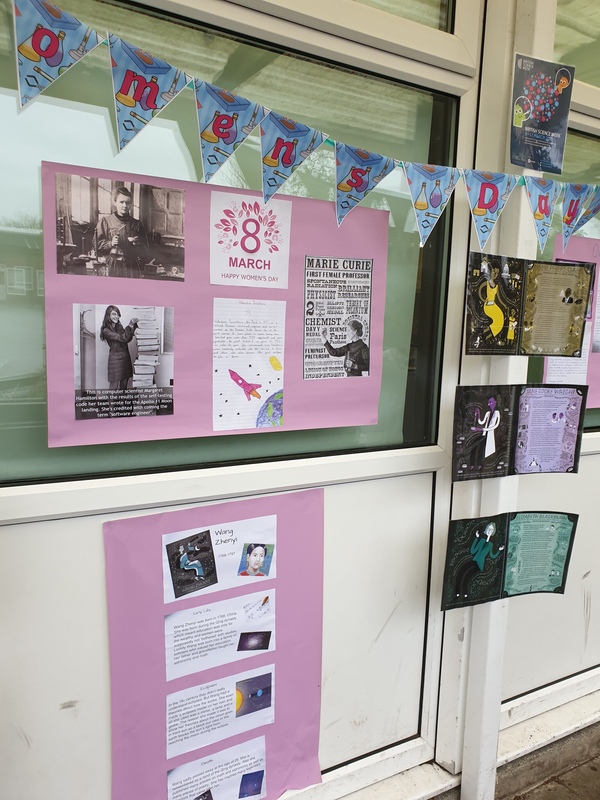 When we clicked on it, we realised it was celebrating the life of Friedlieb Ferdinand Runge, the German chemist who discovered caffeine. 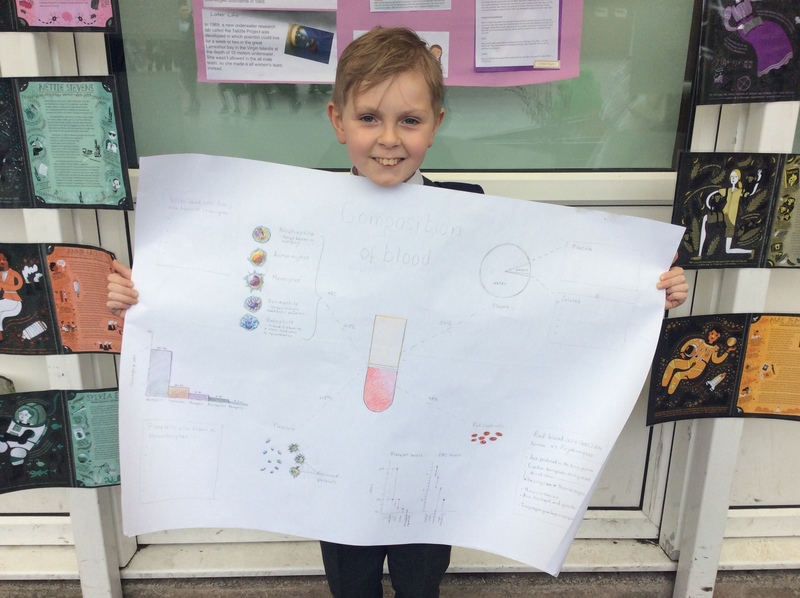 We learned about his wonderful discoveries and were even more amazed to learn that he pioneered the use of paper chromatography. 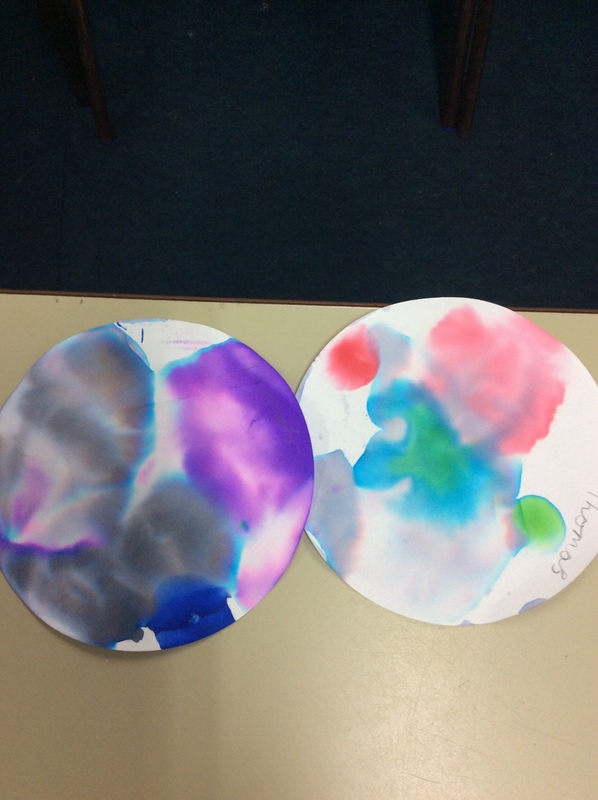 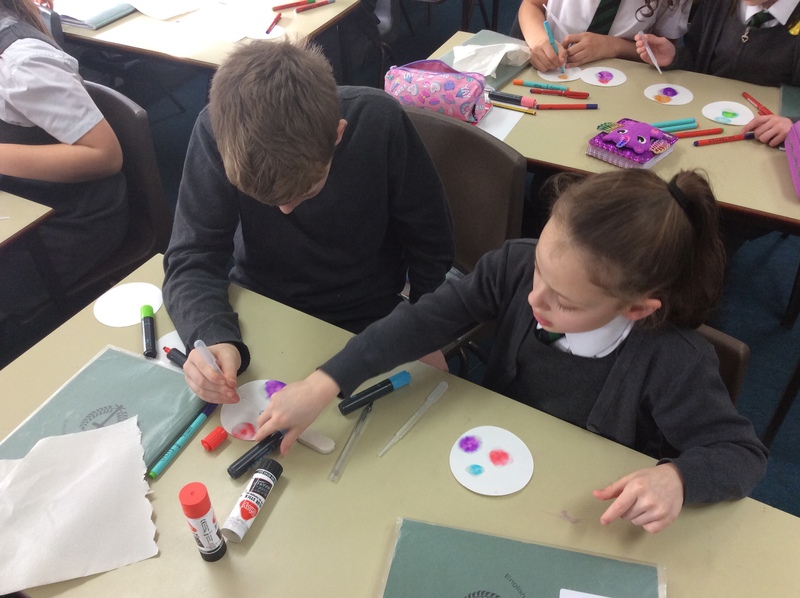 We took our learning further and experimented with coloured felt tips – we placed a coloured dot on filter paper and watched what happened when water was added. 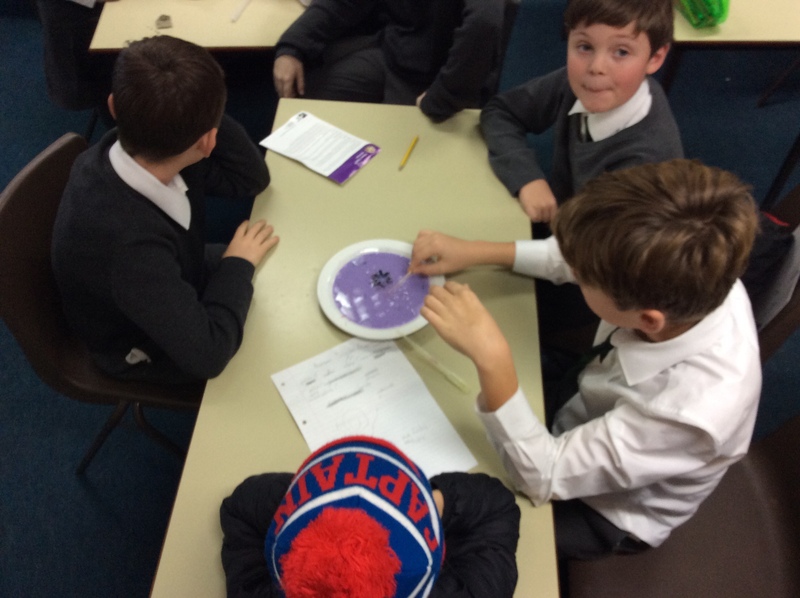 The filter paper absorbed the liquid and the colour molecules got dissolved. 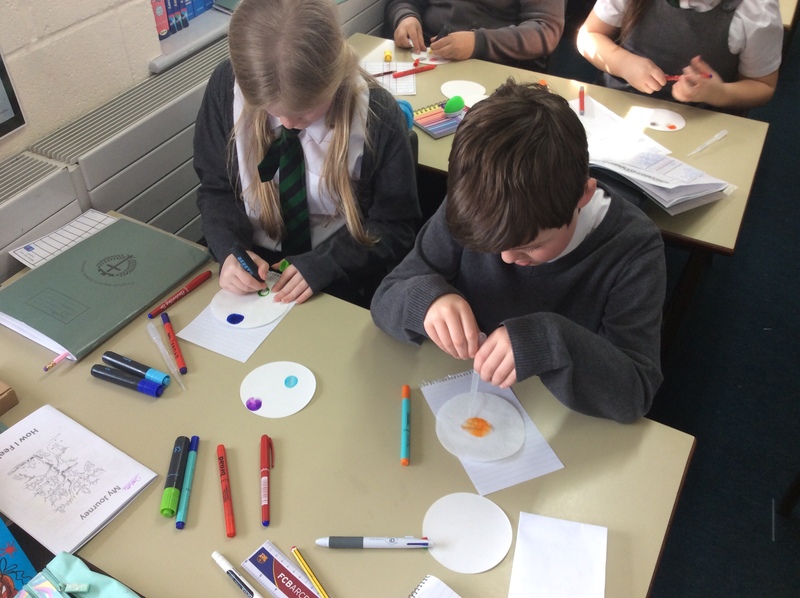 Because some of the colour molecules are smaller and lighter than others, they move at different speeds; that’s why the colours look separate! 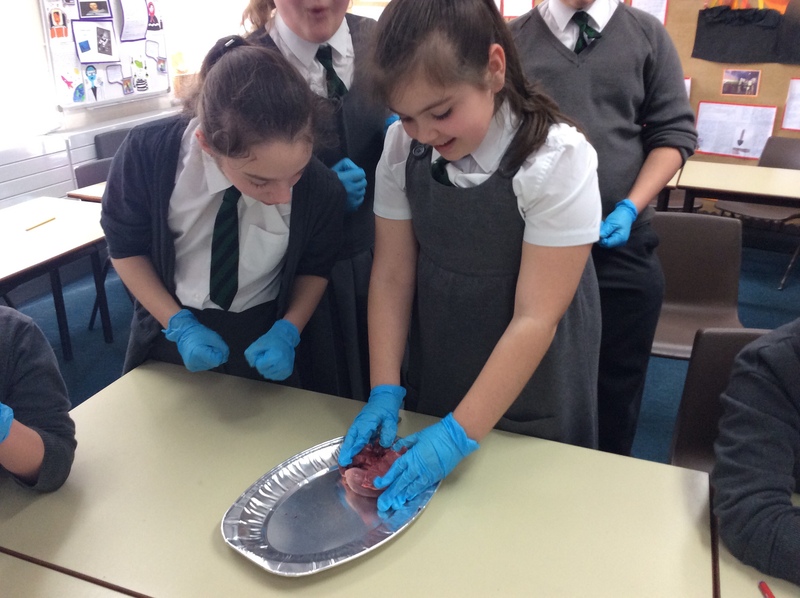 In Year 6, we love hands-on experiences. 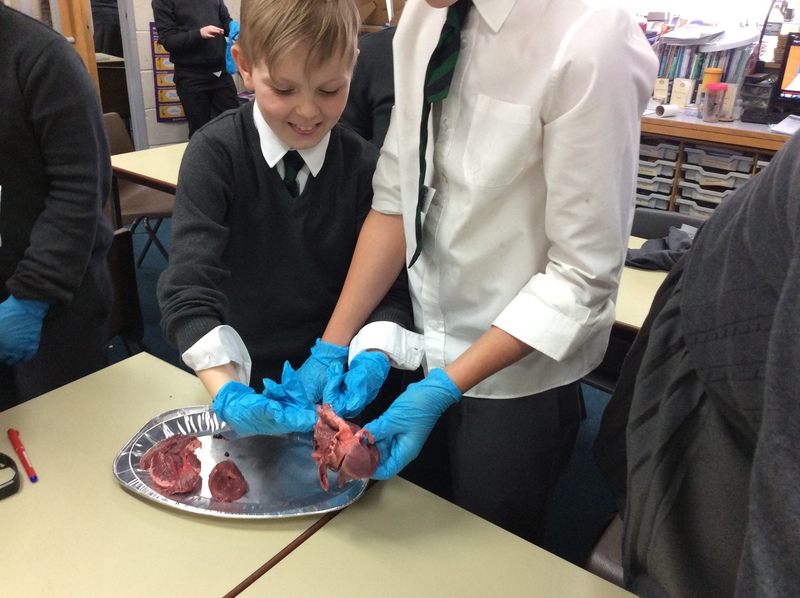 With our new Science topic having us explore the circulatory system, we thought it would be useful to see how the heart functions close up. 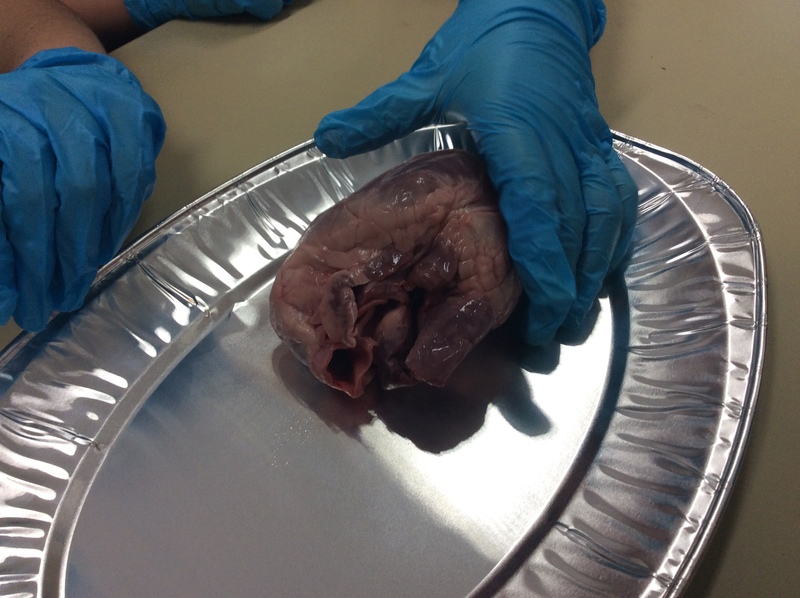 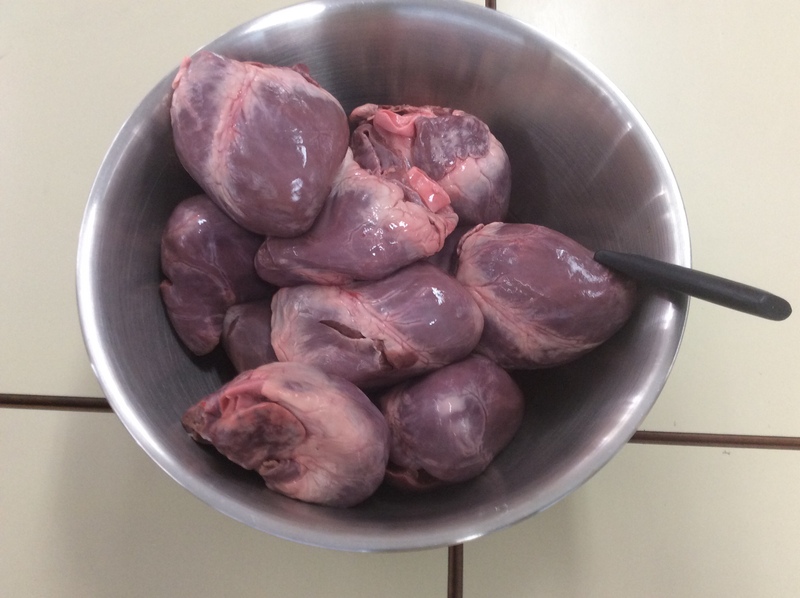 Using a pig’s heart, which is very similar to that of a human, we traced the flow of blood through it. 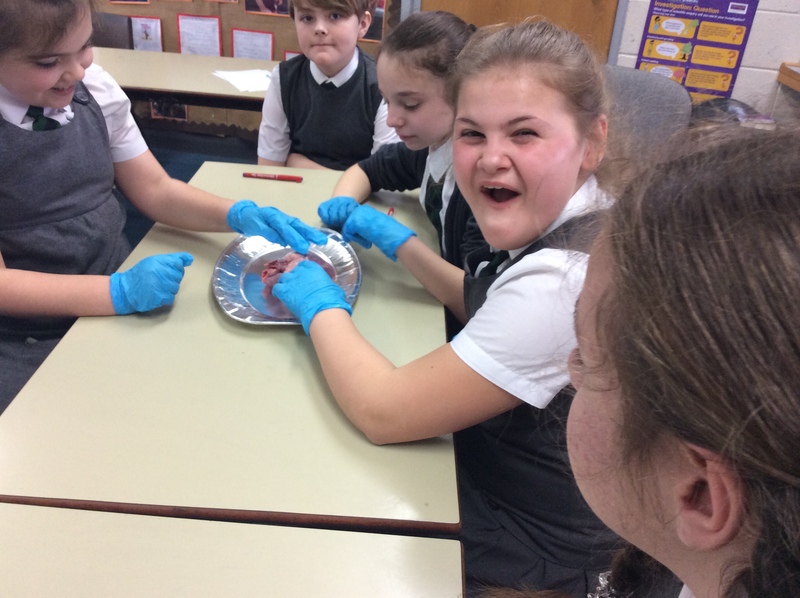 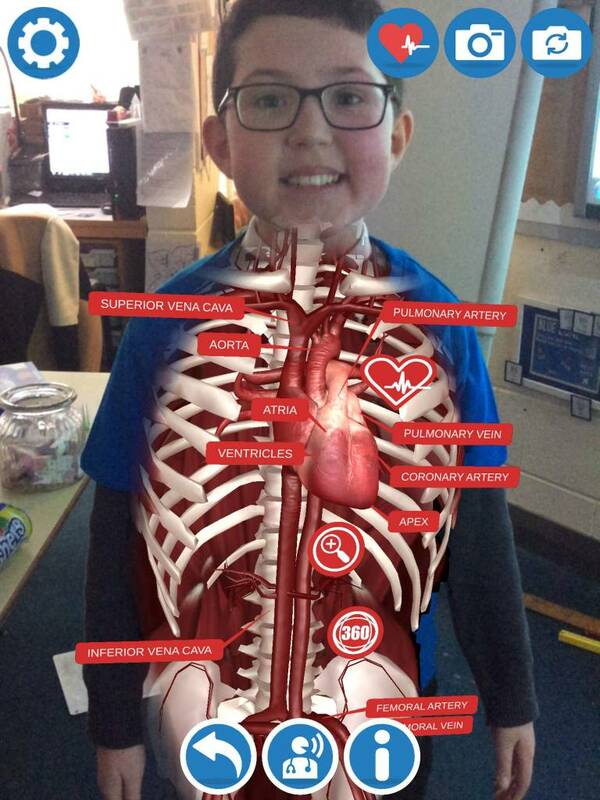 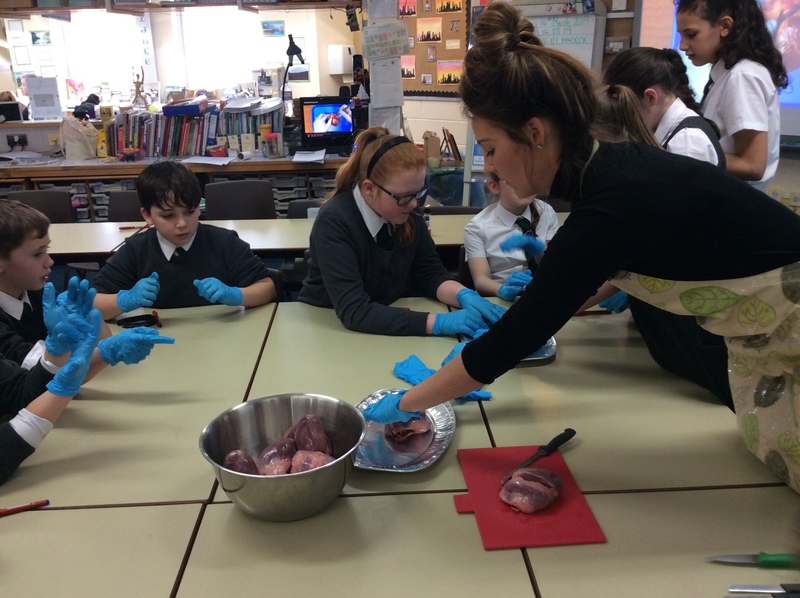 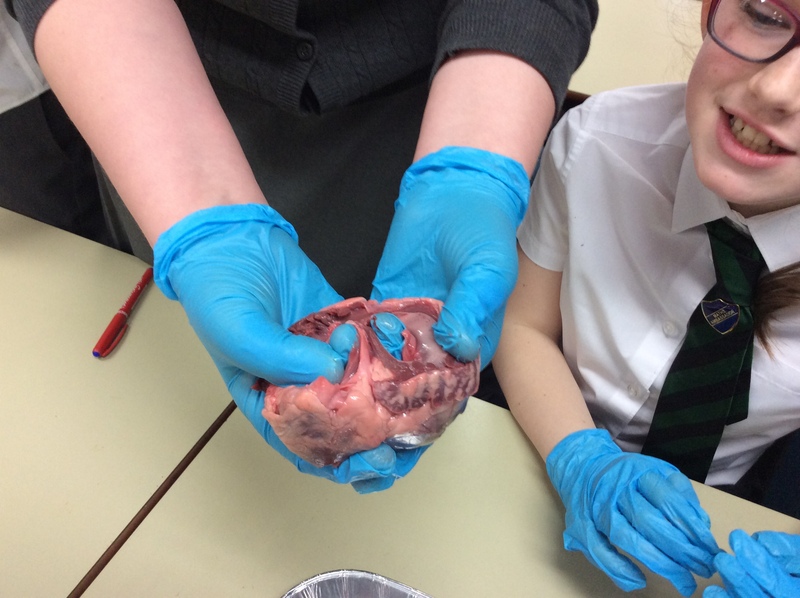 Our pupils could see the vena cava which takes deoxygenated blood into the heart from various parts of the body. 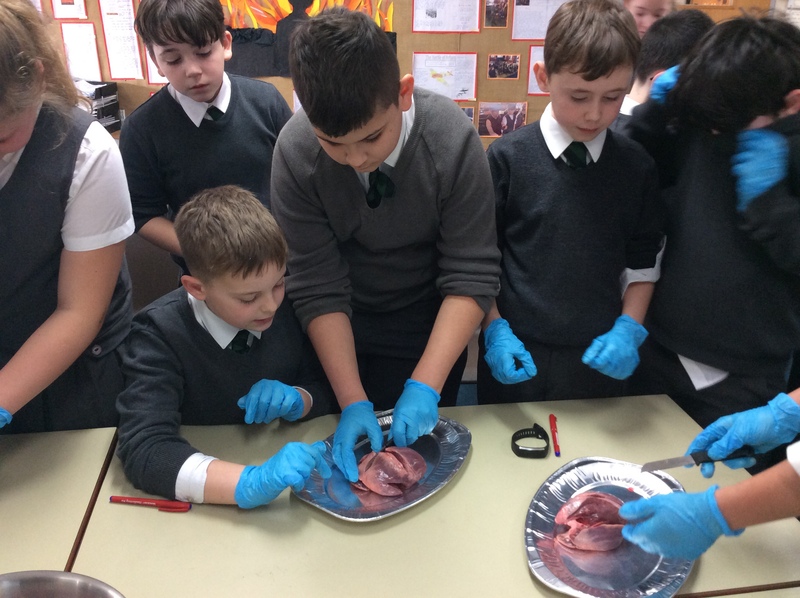 Exploring the chambers, they could see the right atrium and the right ventricle where the blood passes through before it is pumped out of the pulmonary artery to the lungs so the blood can be filled with oxygen again. 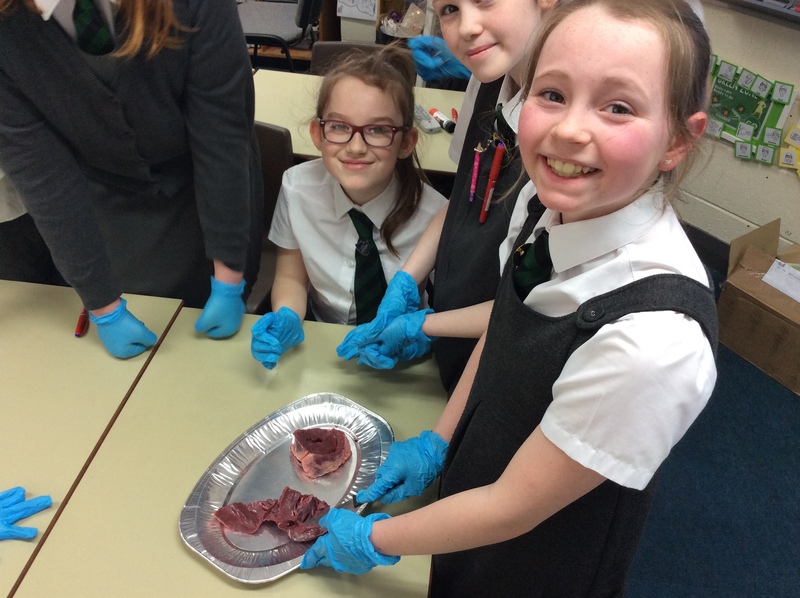 We noticed that the left side was significantly bigger and learned that this is because the fresh, oxygenated blood enters the left side via the pulmonary vein. 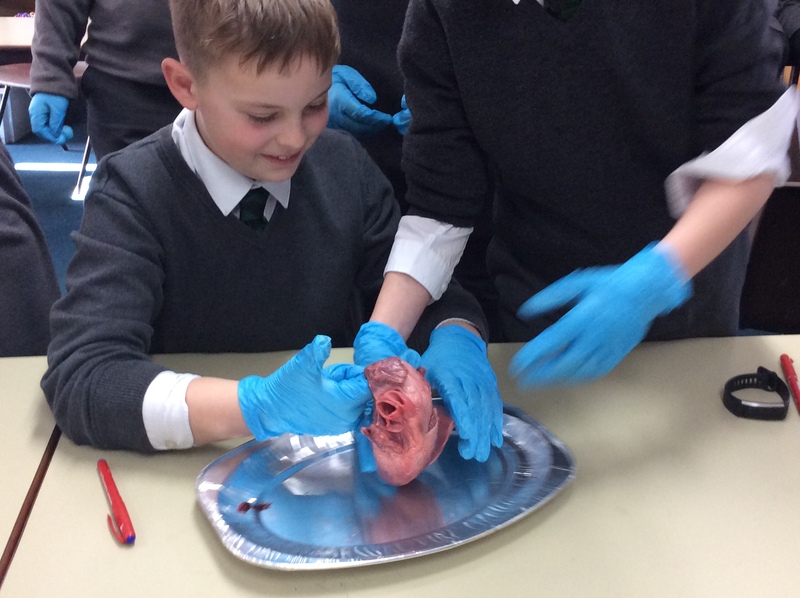 Here, it flows into the left atrium then left ventricle before shooting the oxygen-rich blood through the aorta to the rest of the body. 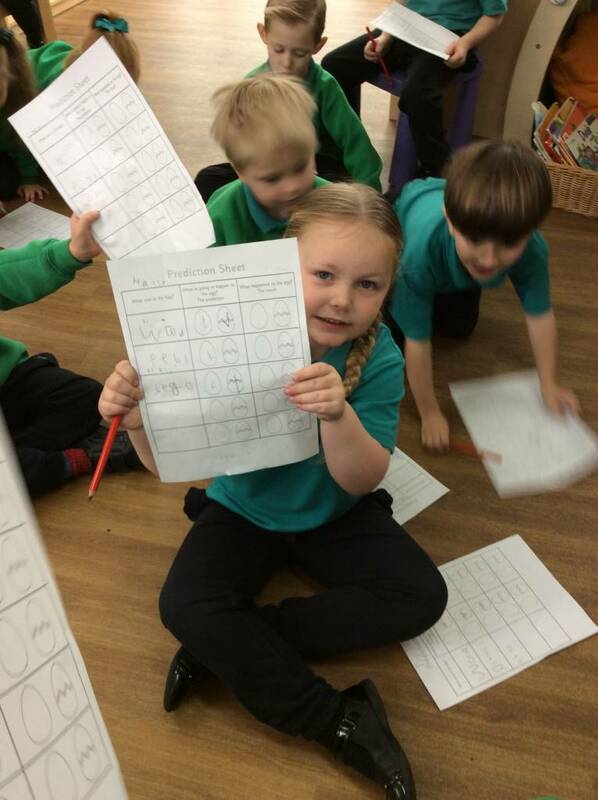 Our learning experience proved a success with our pupils! 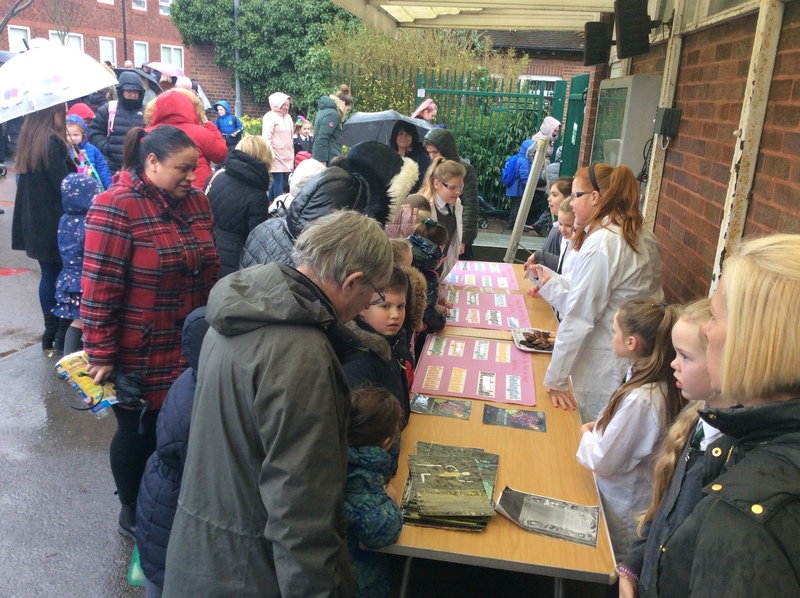 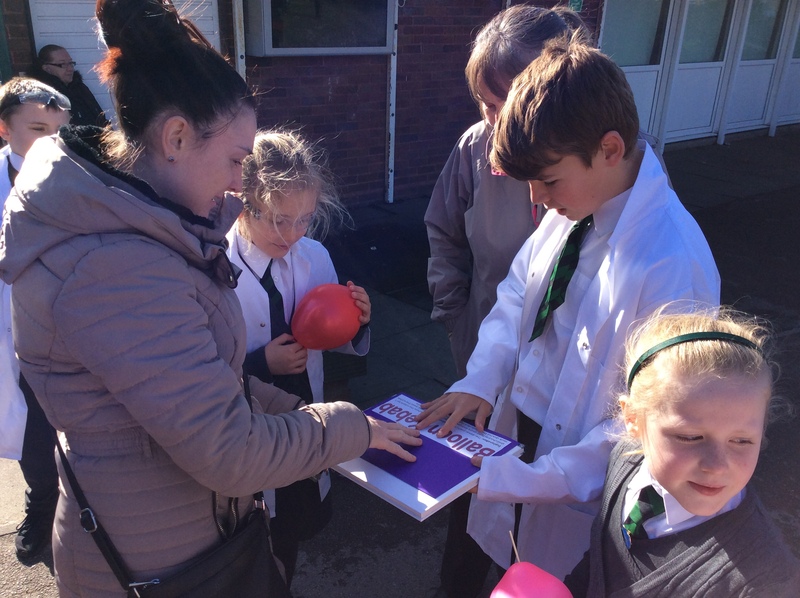 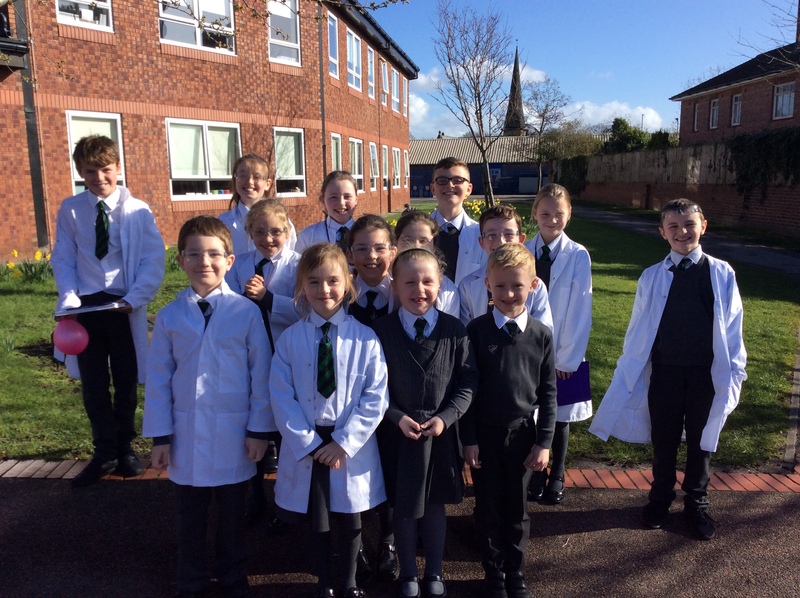 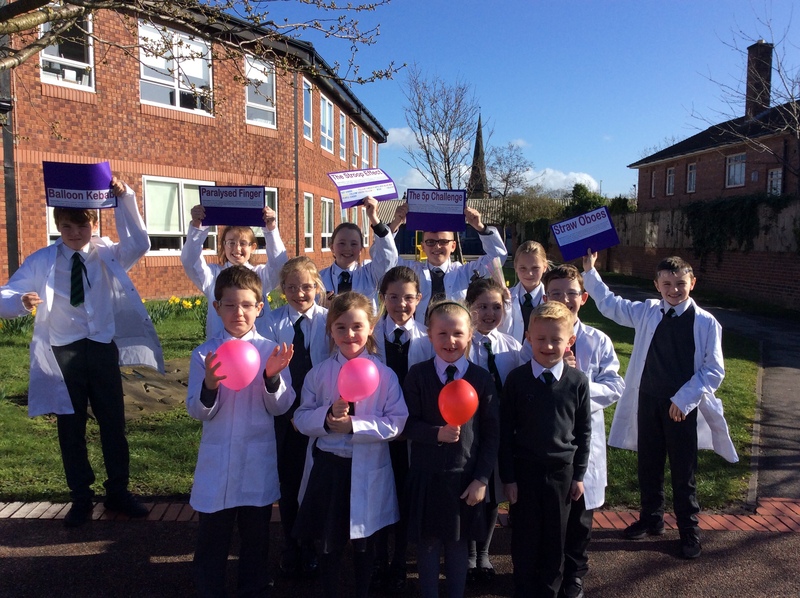 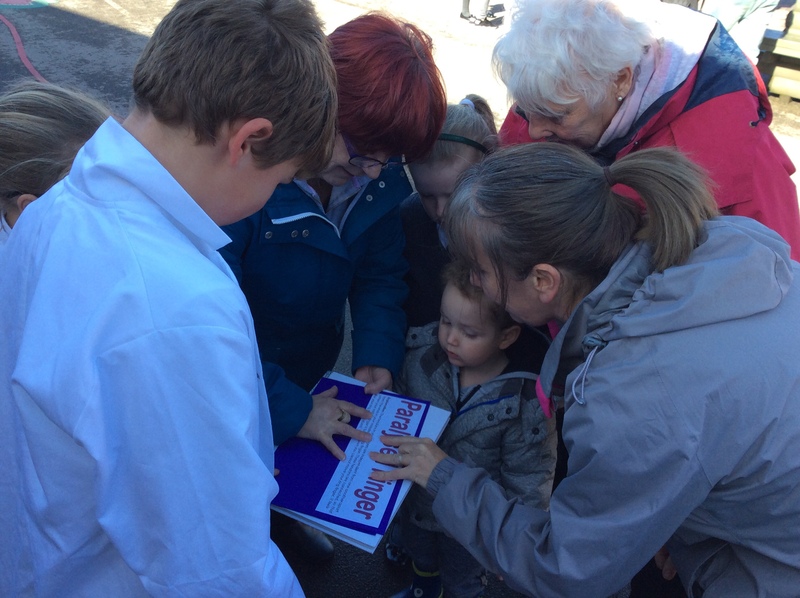 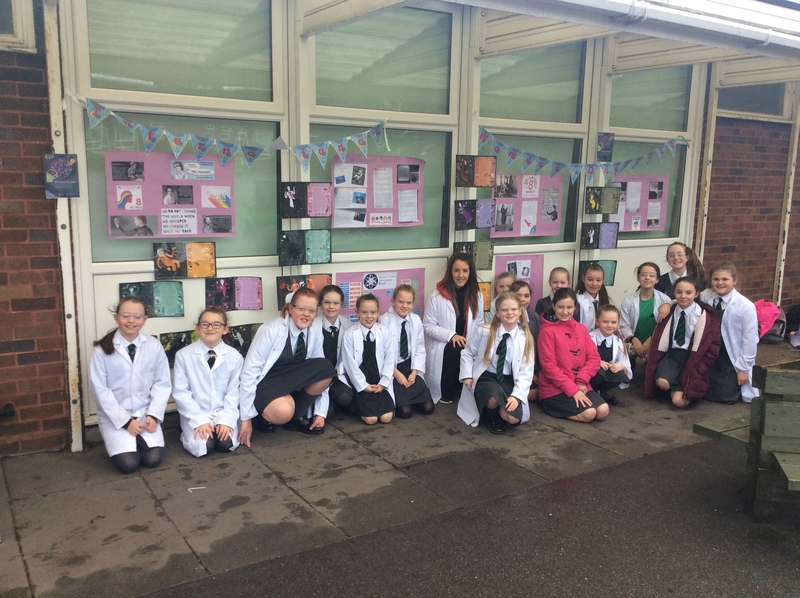 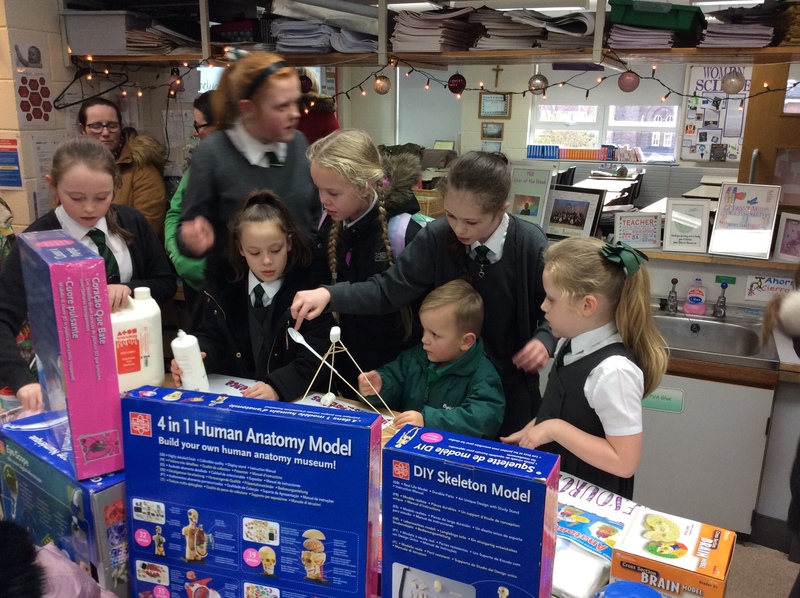 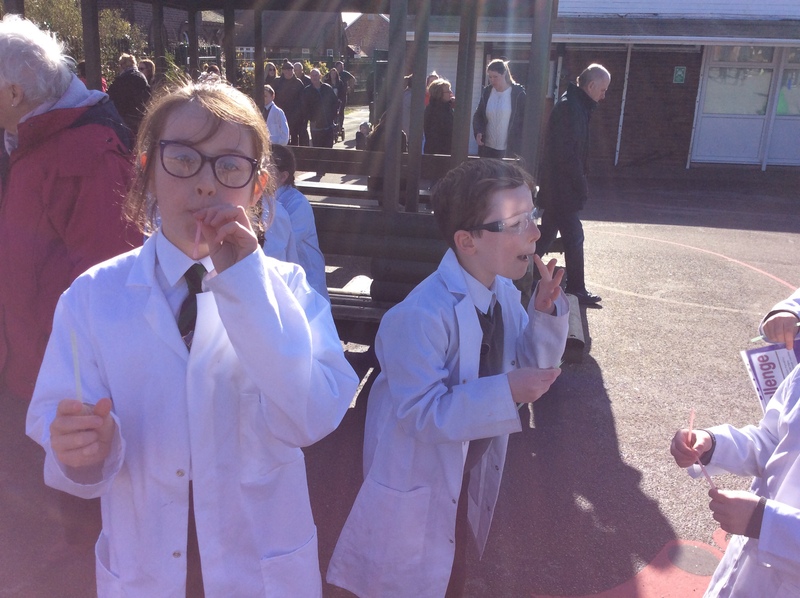 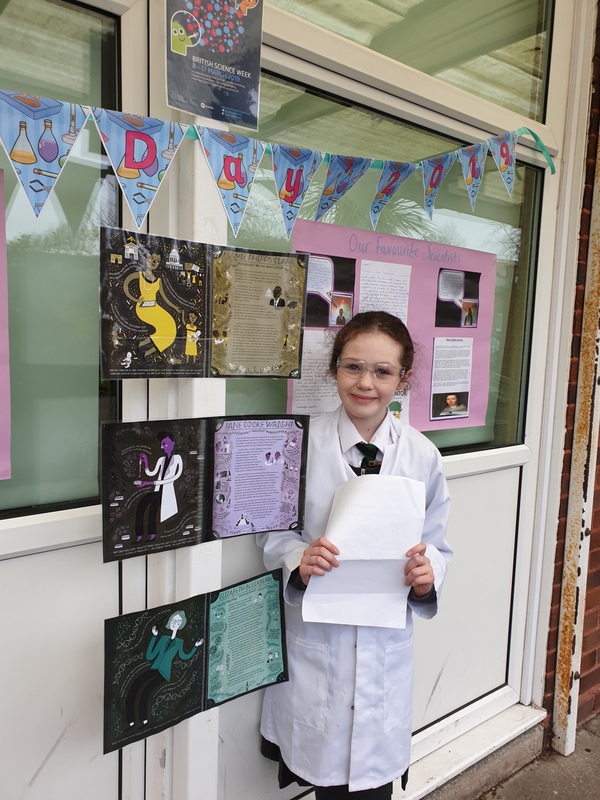 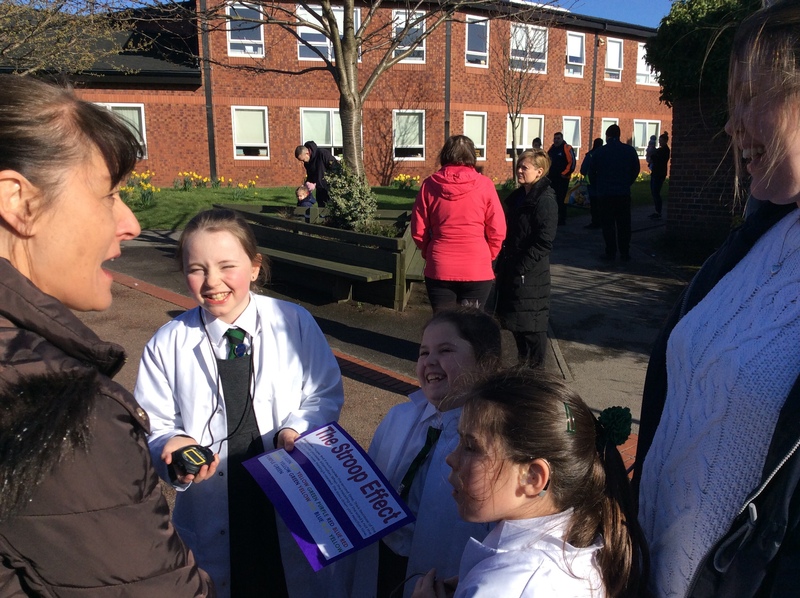 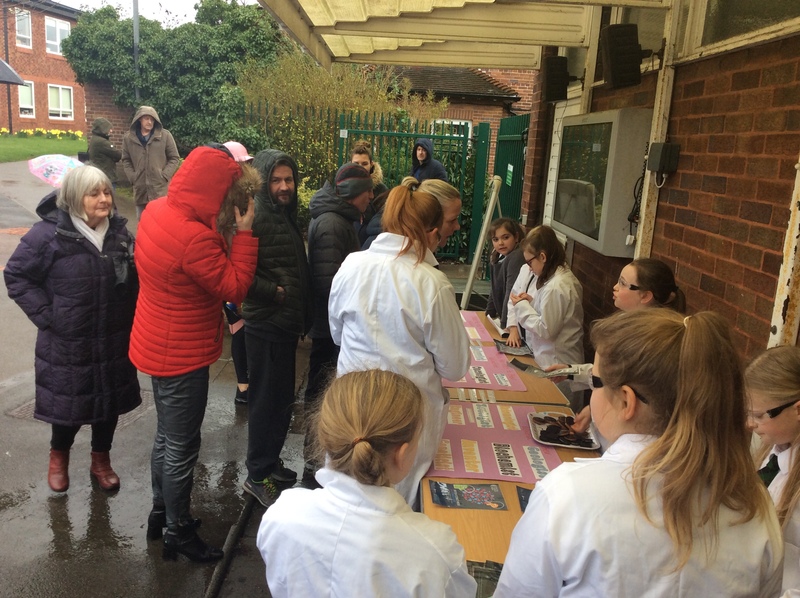 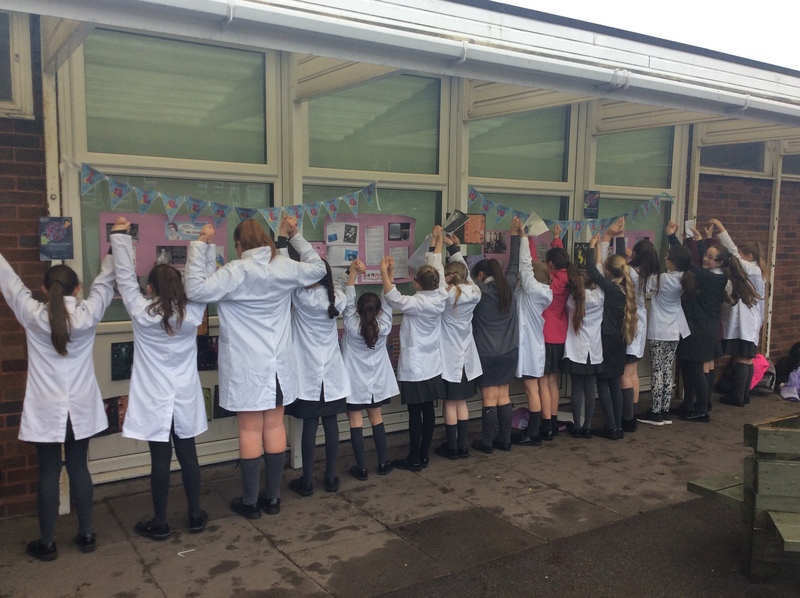 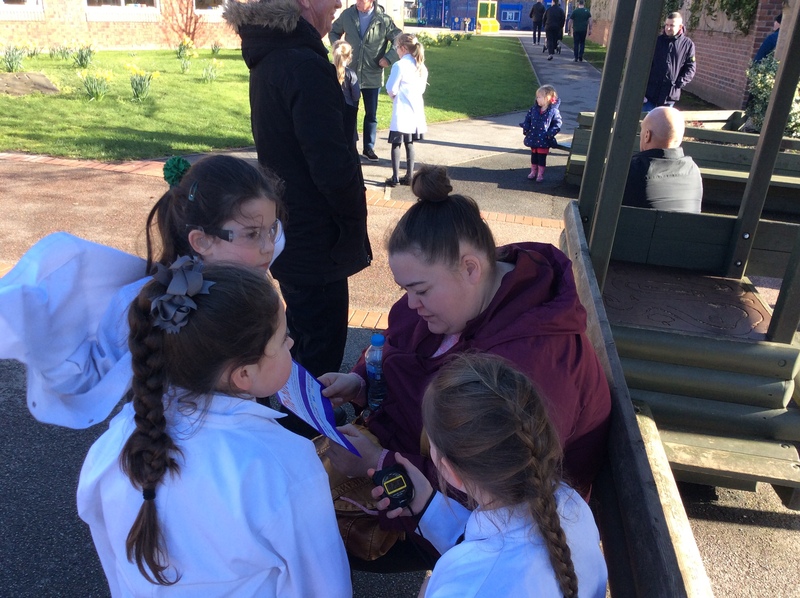 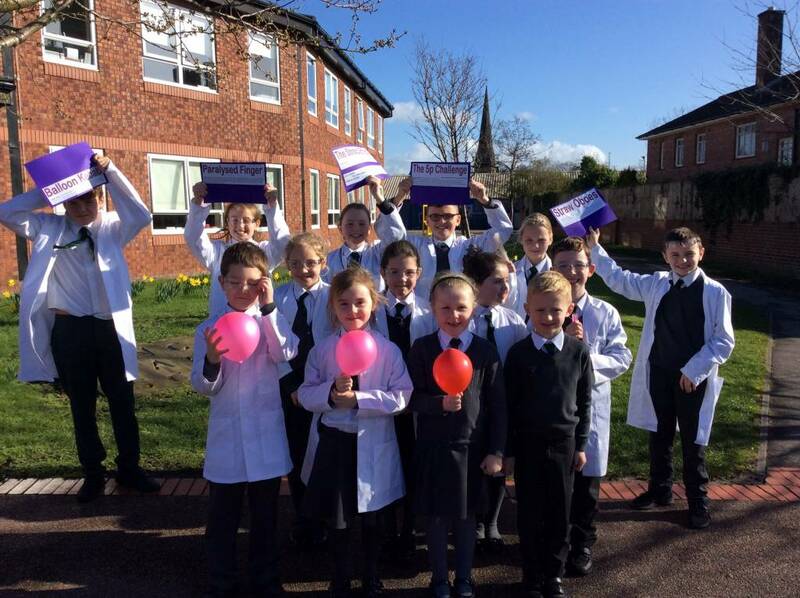 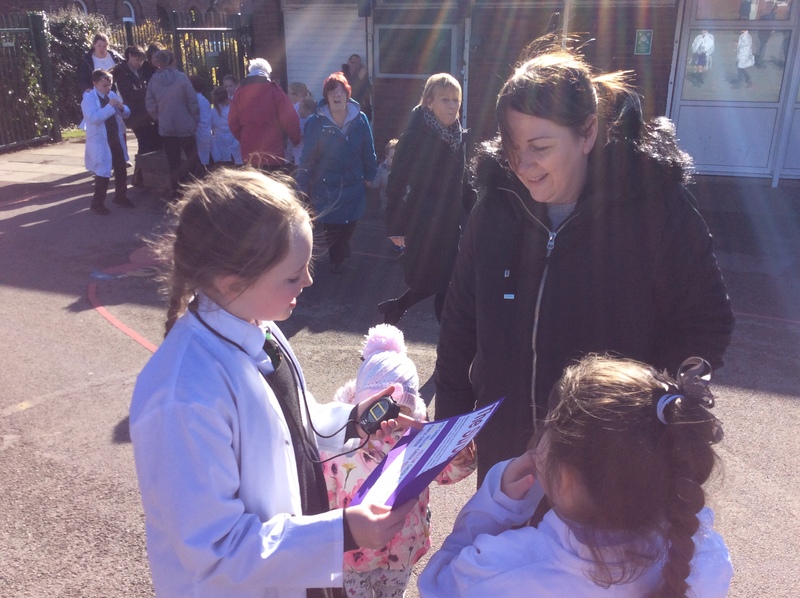 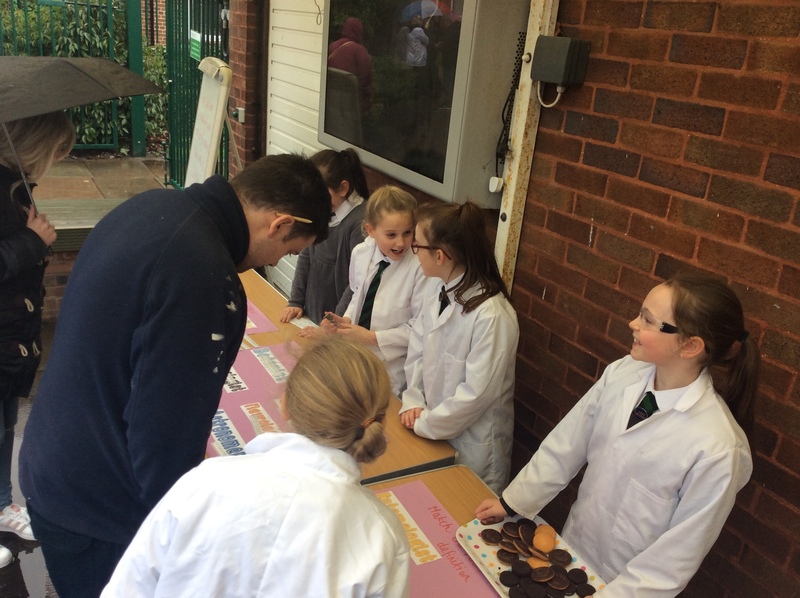 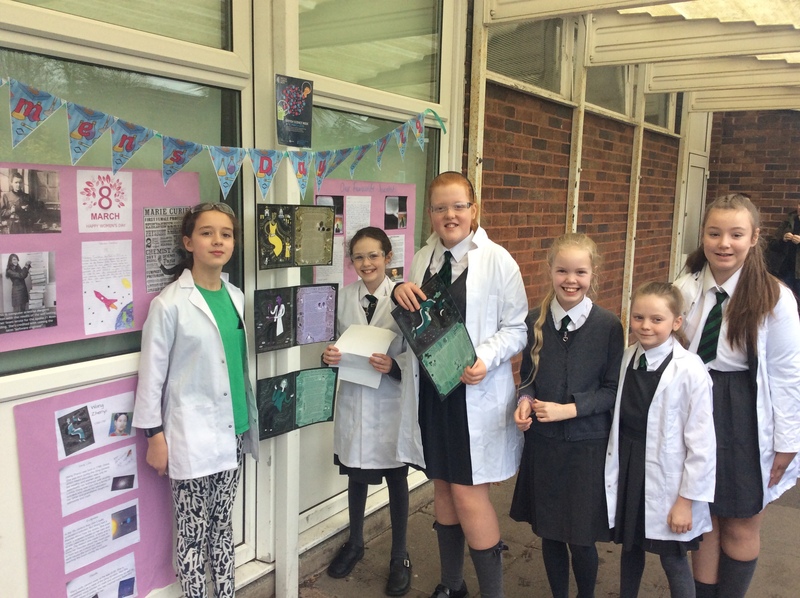 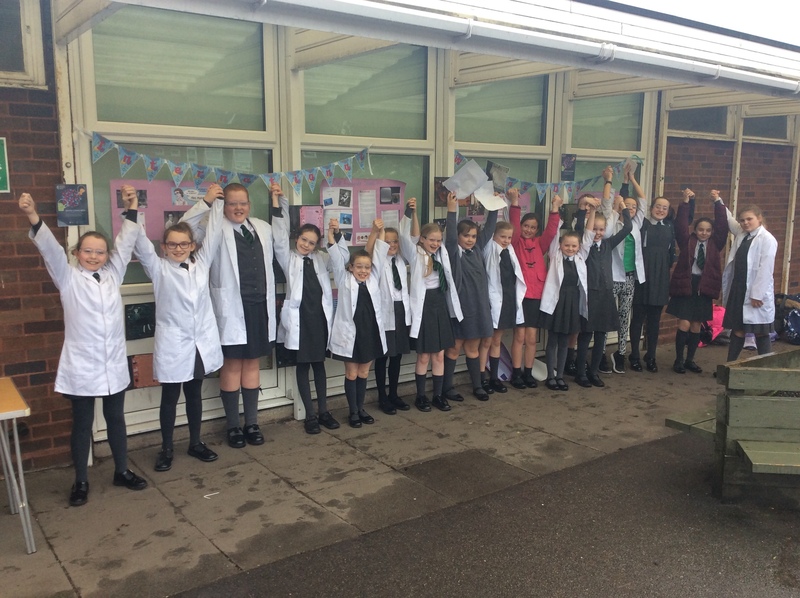 To mark the end of British Science Week 2019, our Science Ambassadors put on their lab coats 良 and went outside to parents at home time, armed with a wealth of science demonstrations to engage the masses. 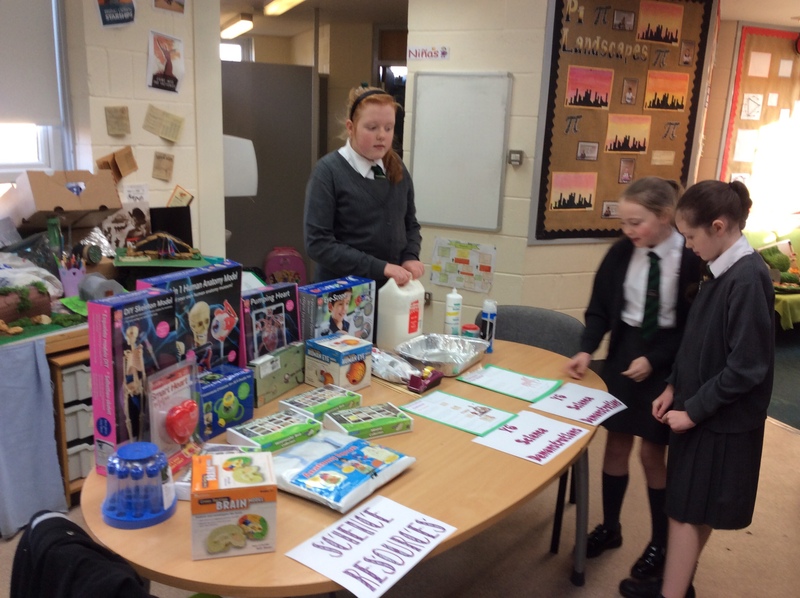 Parents took part in the 5p Challenge which demonstrated how mass is distributed differently in different body types. 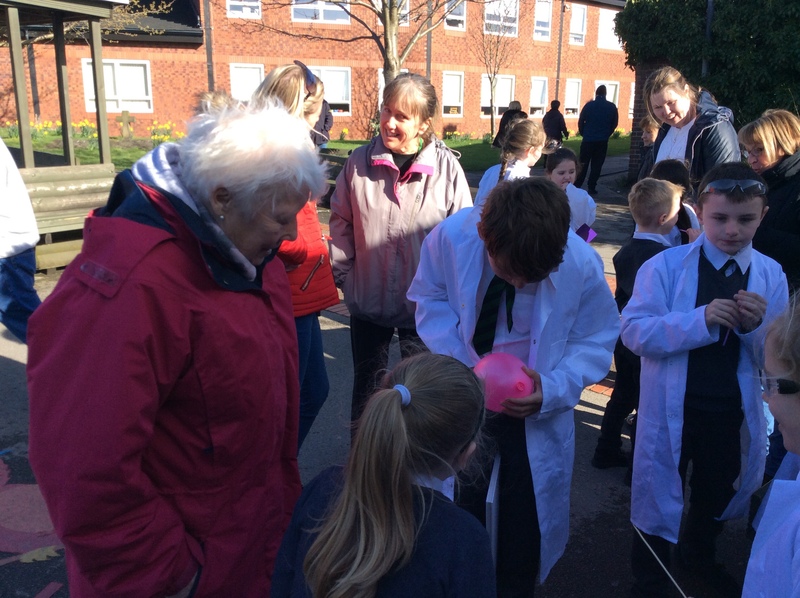 Gasps were heard when our Y6 pupil demonstrated their Balloon Kebab experiment. 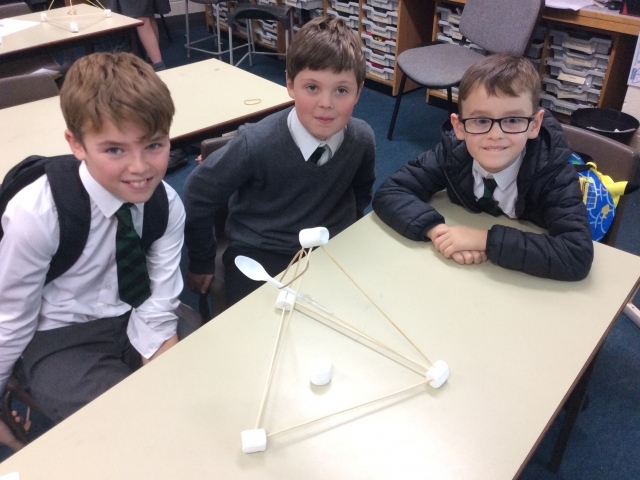 Using their knowledge of where the rubber molecules are under the least amount of stress and strain, Gabe pushed the wooden skewer through the blown-up balloon without it popping! 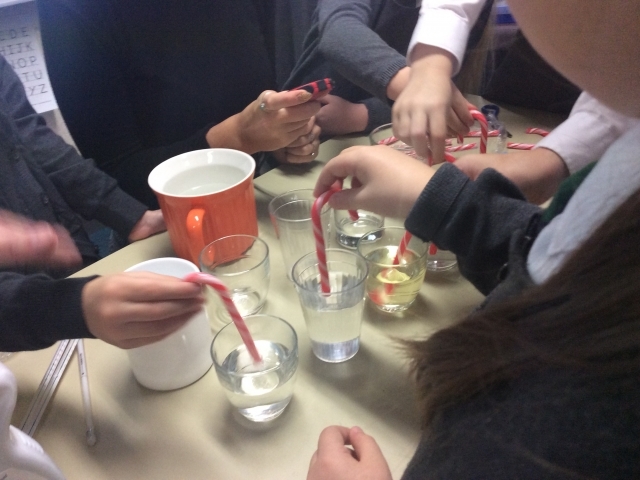 Making Straw Oboes with plastic straws was such a highlight as we created noises of different pitches: it took a bit of practise to get it exactly right, but it was well worth the effort. 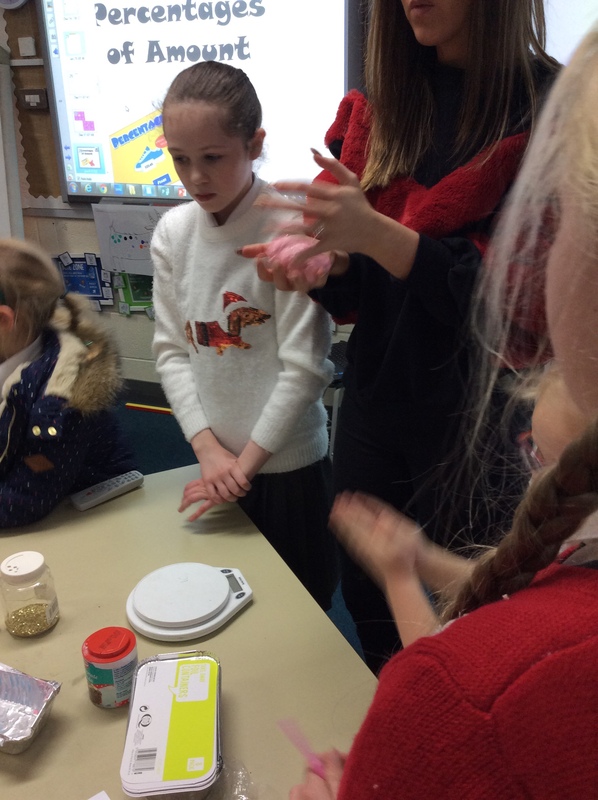 There were many more demonstrations set up by our budding scientists including The Stroop Effect and Paralysed Finger which explained how the tendons in the fingers are independent from one another apart from the ones in your middle and ring finger!